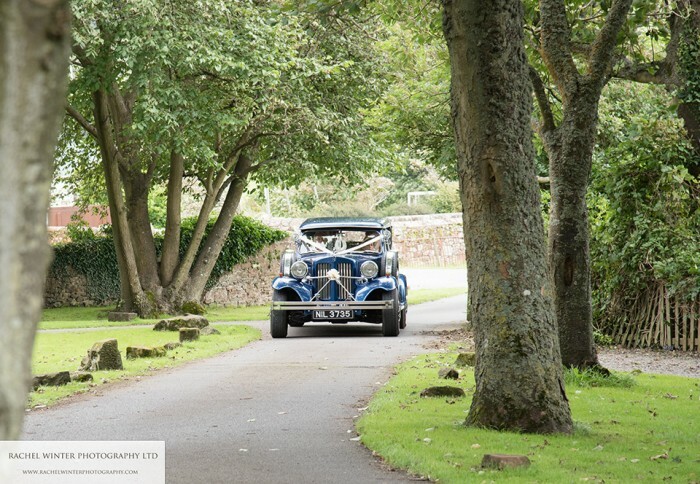 I grew up on the lane where The Villa, Levens is situated, so it is a very special place to me. 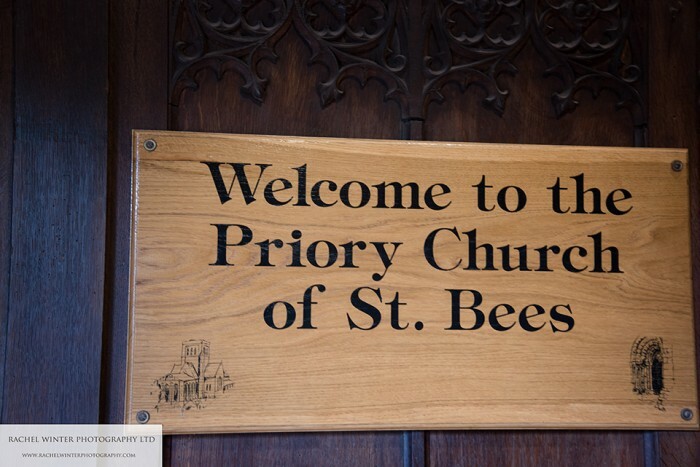 I remember it as a convent, run by The Salasian sisters, until the last few years when they sadly left. 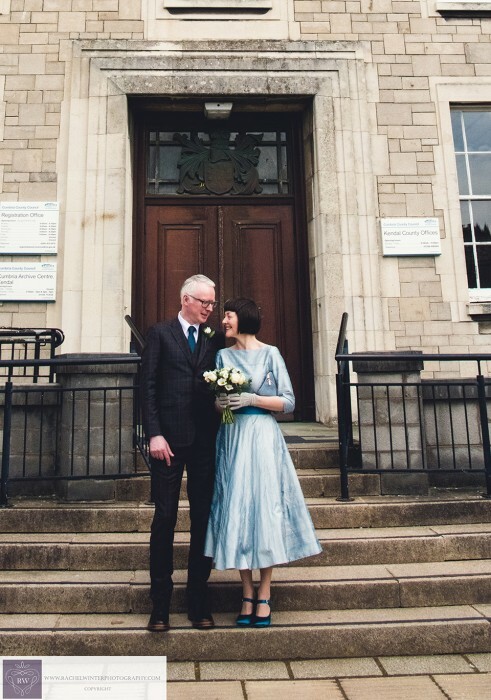 The building has been tastefully upgraded and still has the beautiful staircase which is the centrepiece of the building. 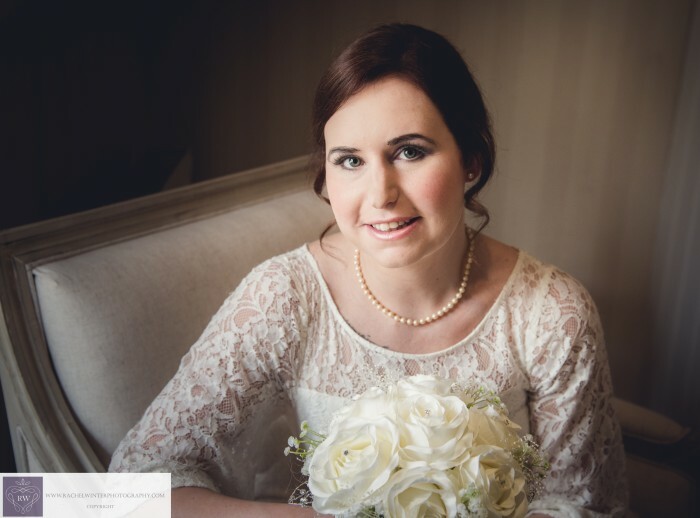 Stephanie and Daniel had a wonderful day and Stephanie looked beautiful. 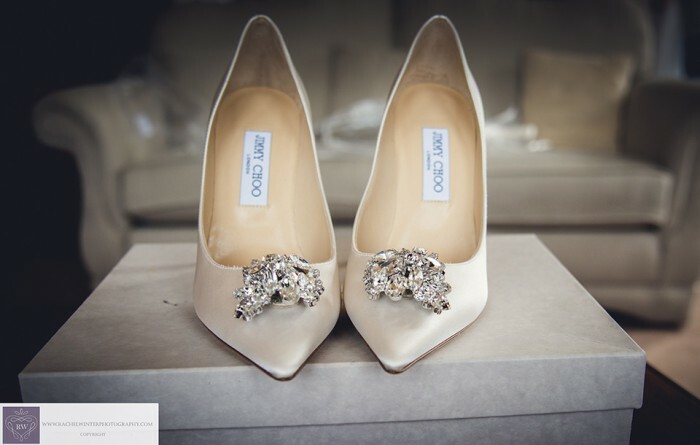 I loved her Jimmy Choo shoes!! 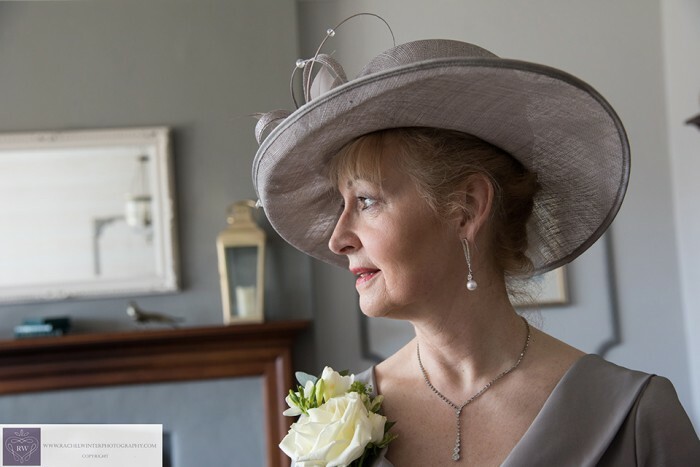 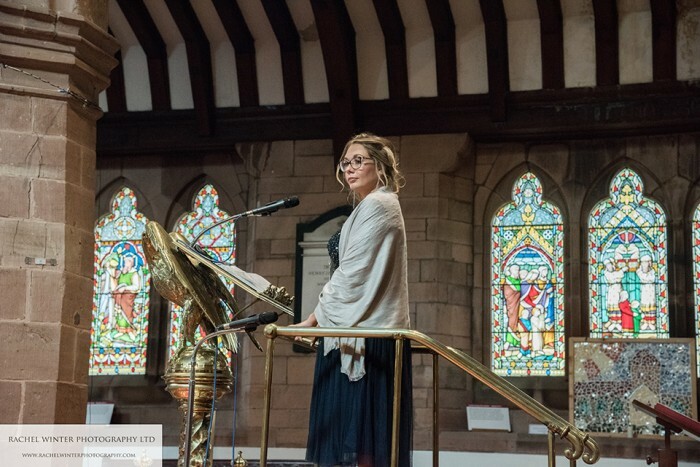 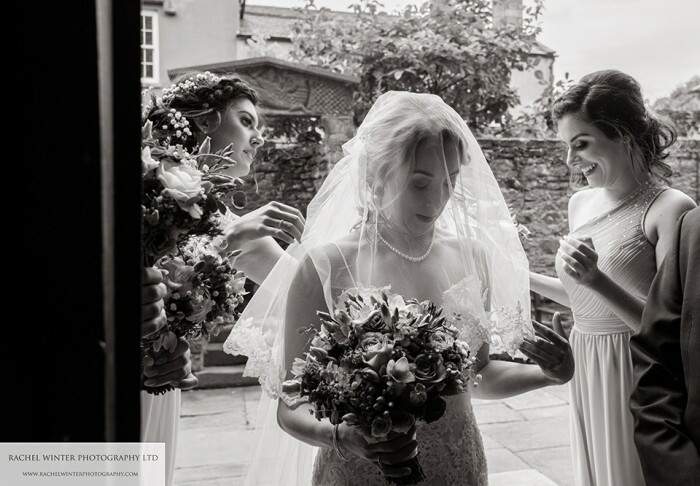 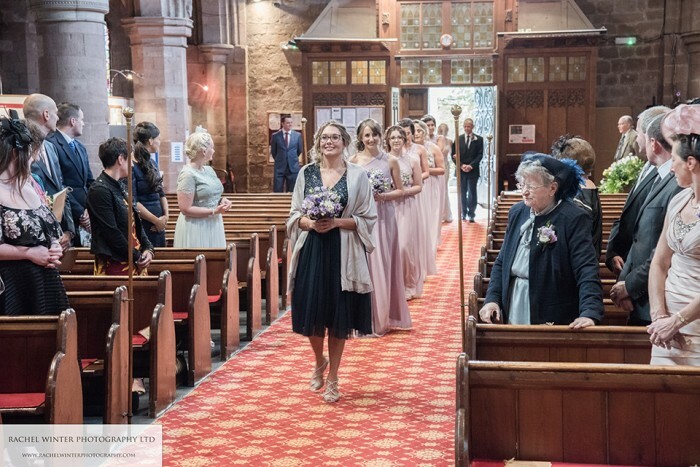 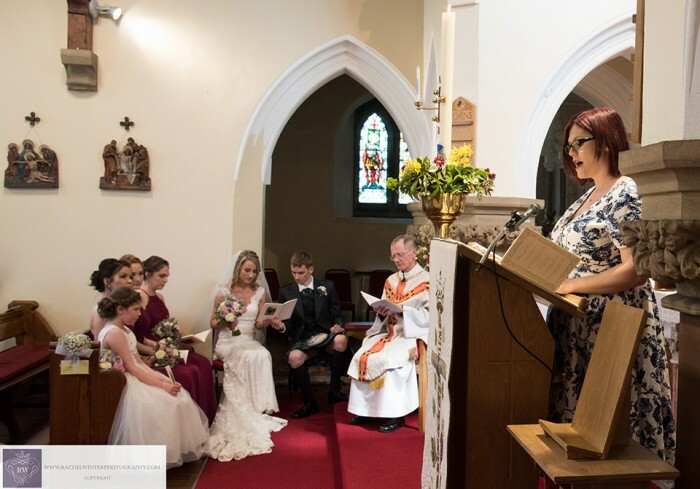 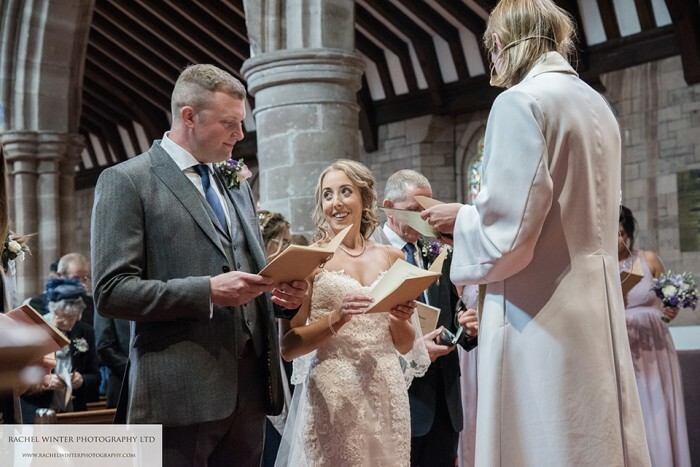 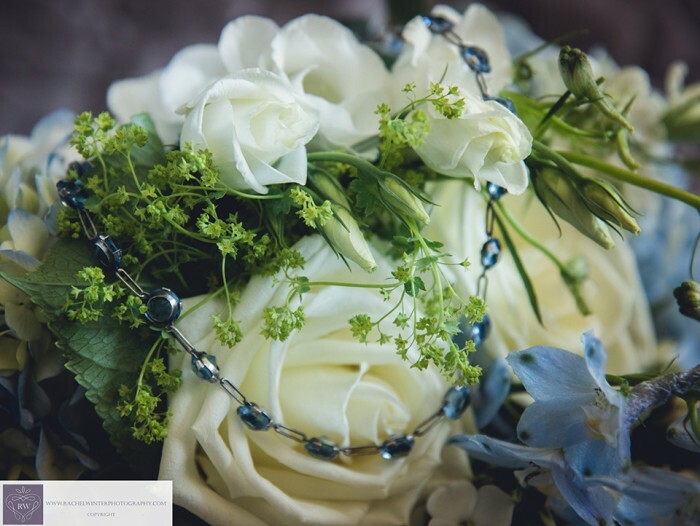 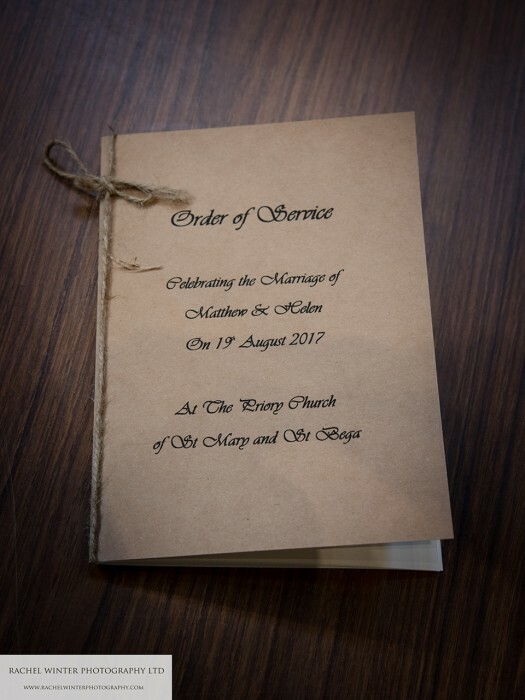 I arrived at The Villa in the morning to photograph the preparations and meet everyone, then it was off to St Charles’ church in Grange-over-Sands for a lovely ceremony. 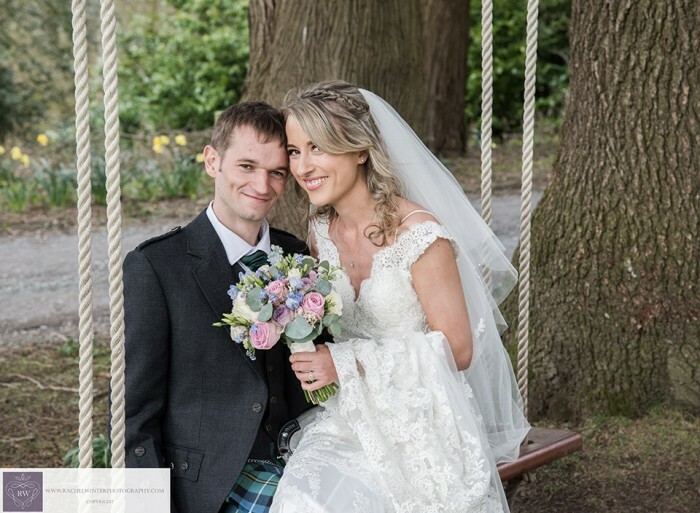 The couple were announced back at the Villa by a lady piper! 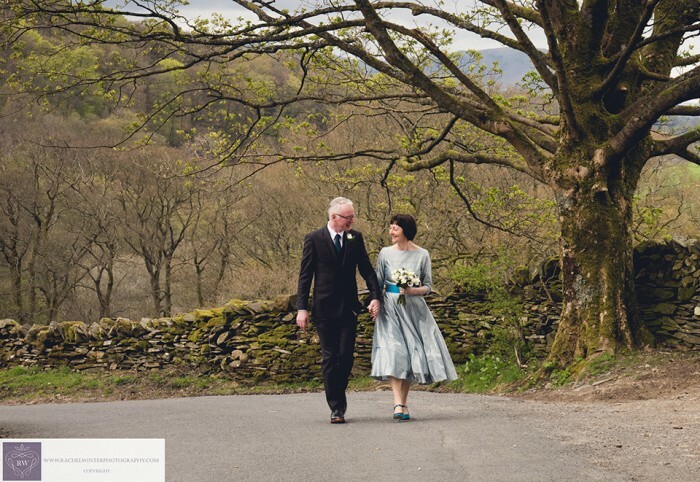 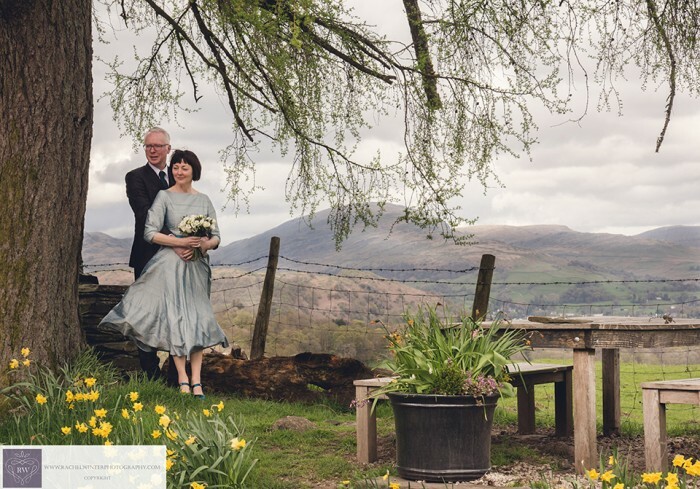 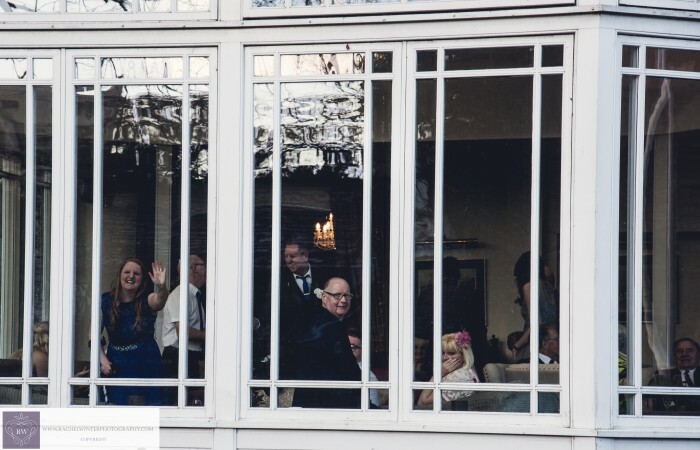 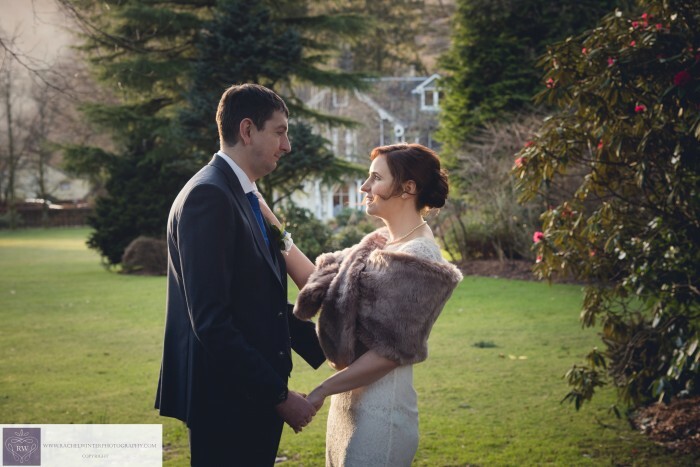 Wedding season is getting into full swing now that April has arrived and after a busy morning of makeup and hair trials last Saturday, I then went to Dale Lodge in Grasmere to photograph the beautiful wedding of Catherine and Steven. 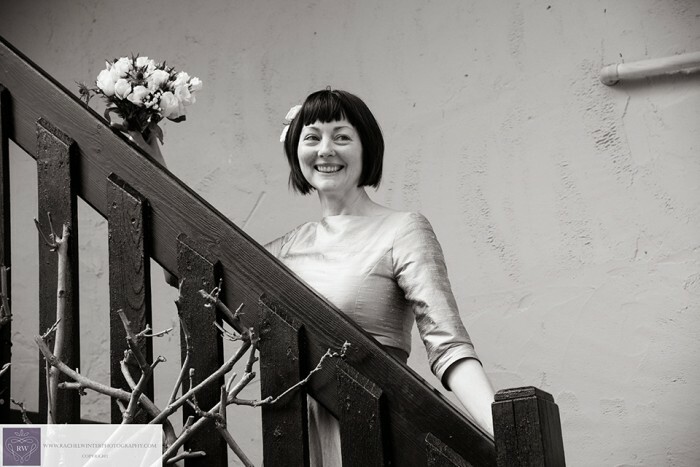 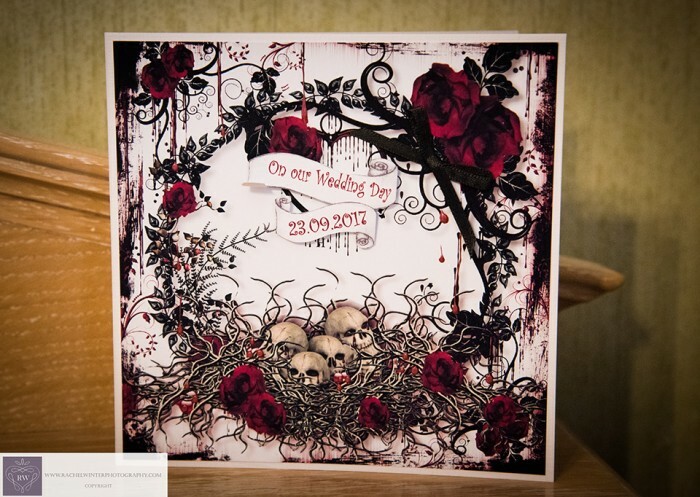 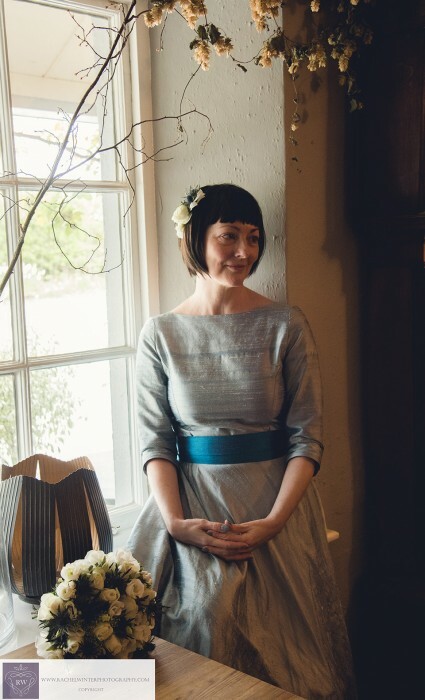 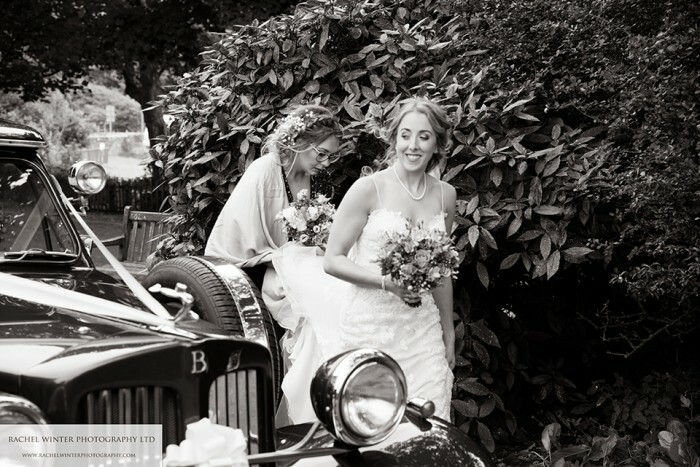 I do like smaller weddings as they have a different feel and atmosphere to the larger occasions. 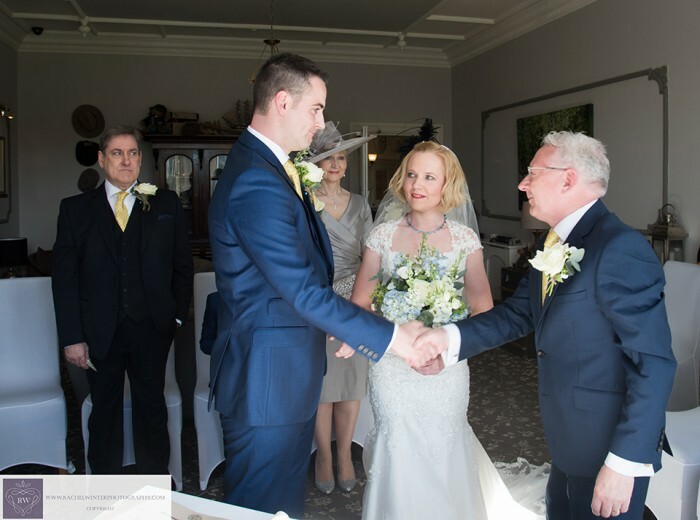 Catherine’s son Leo did a splendid job as best man and you could see what a lovely family they make. 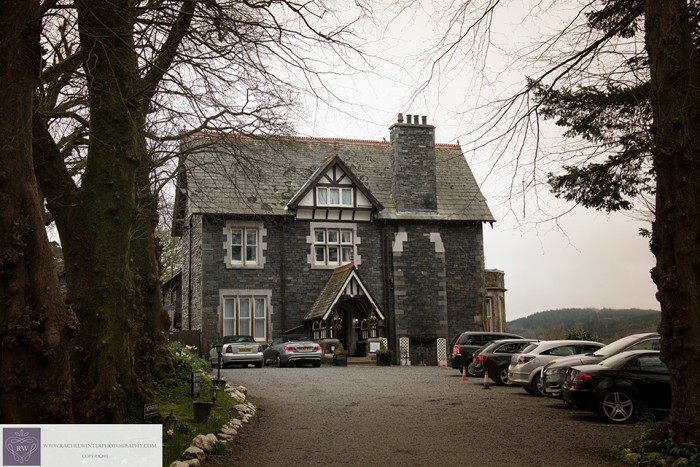 The weather cleared up and Steven’s father kindly drove us up to Grasmere Youth Hostel at High Close for a bit of fell walking. 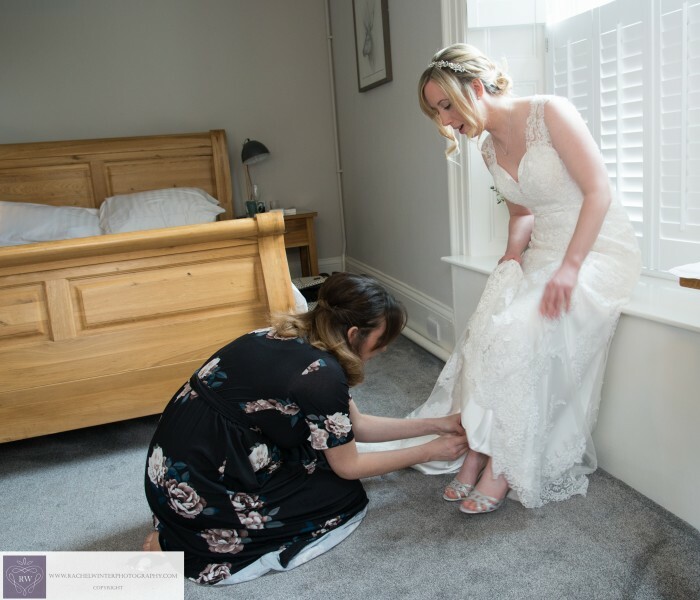 (Not easy for me in a suit and heels)! 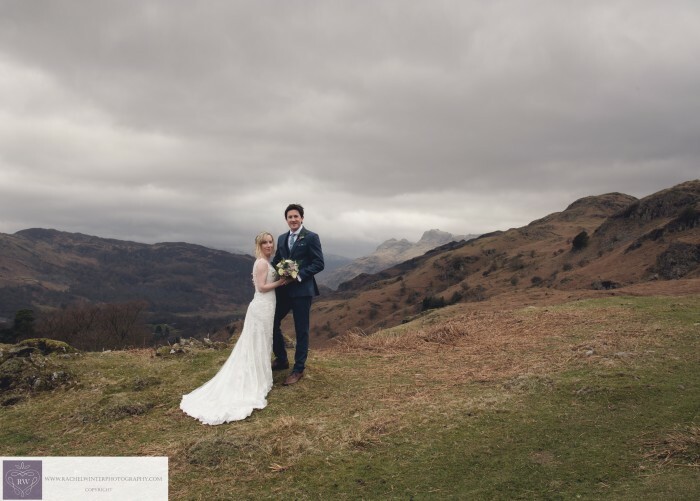 The views were absolutely breathtaking and it was well worth the effort getting to the top. 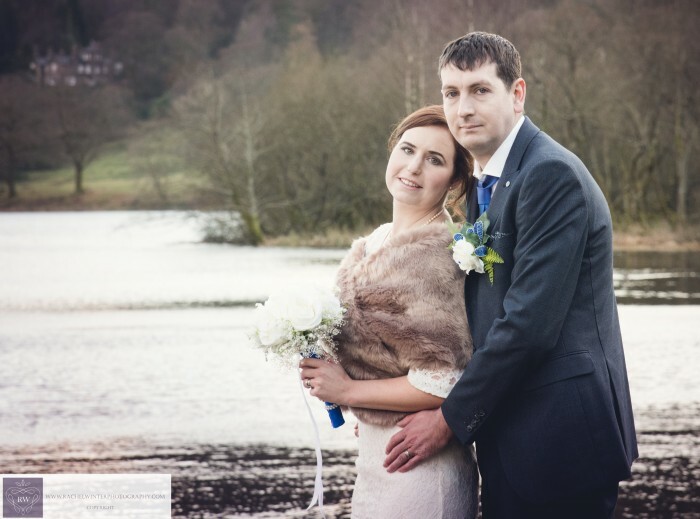 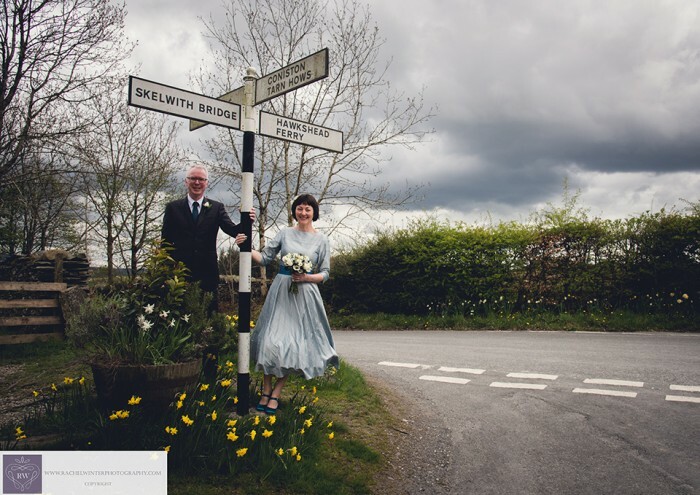 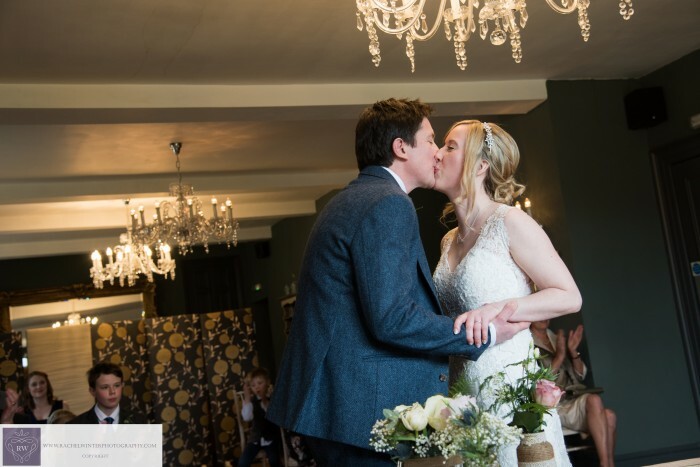 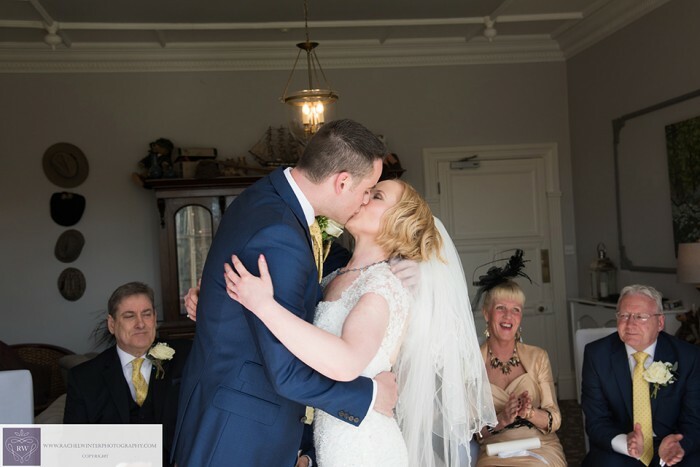 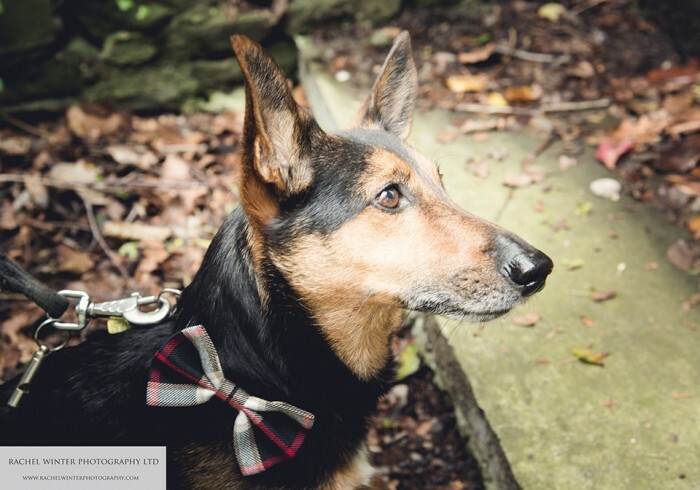 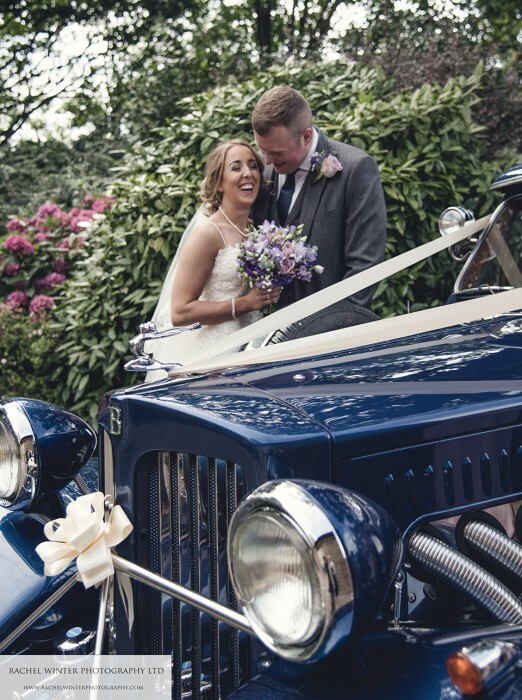 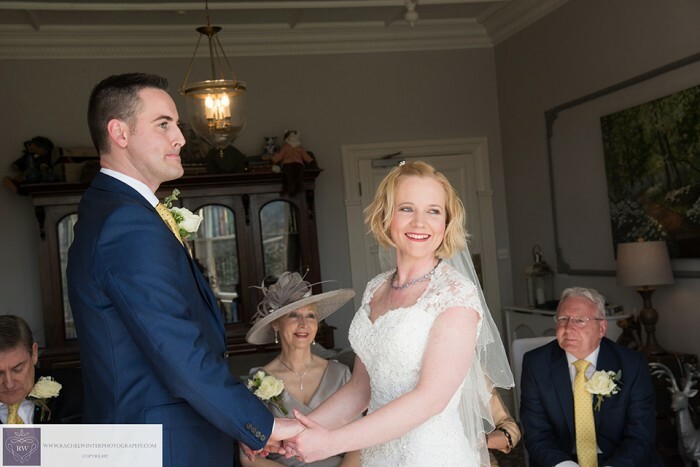 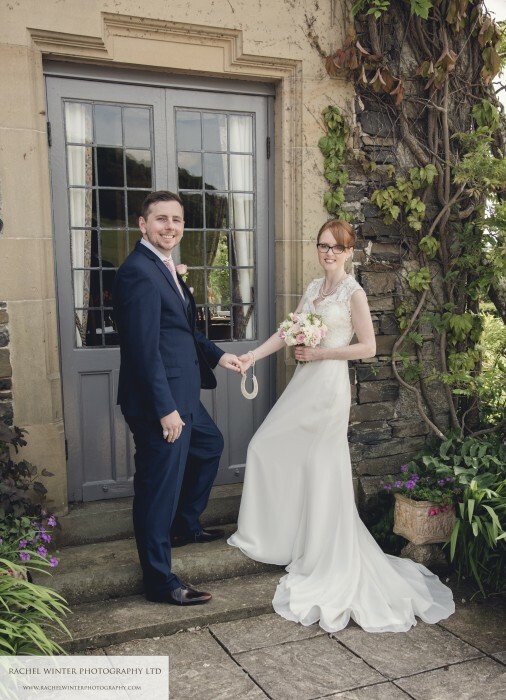 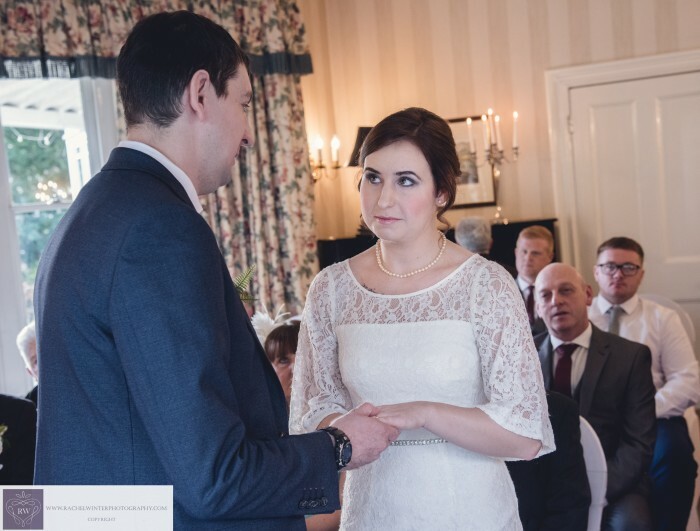 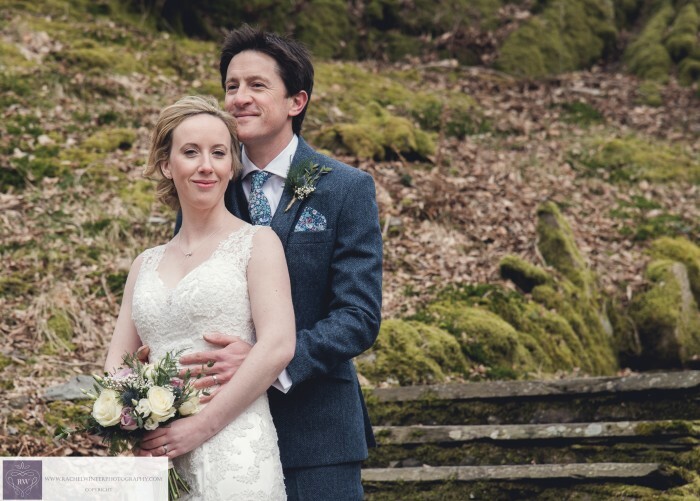 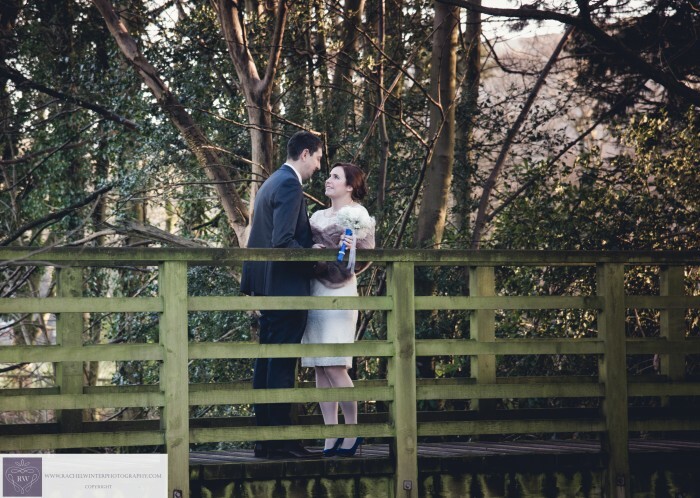 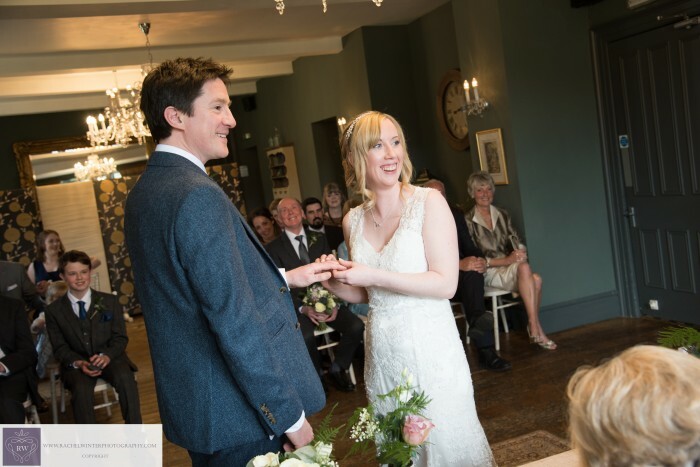 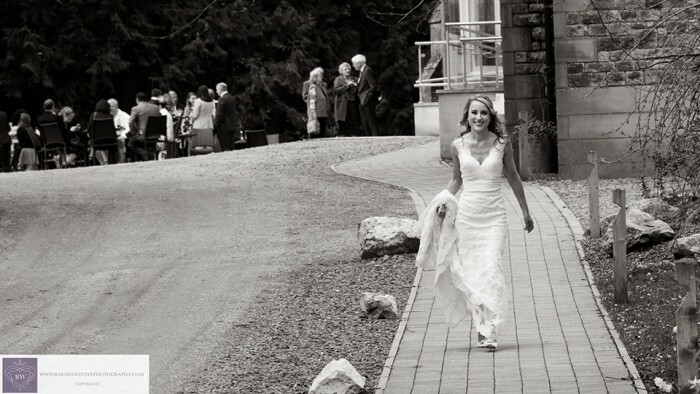 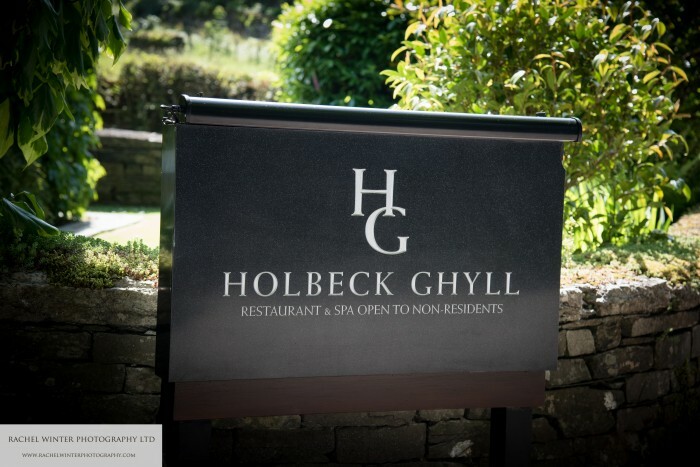 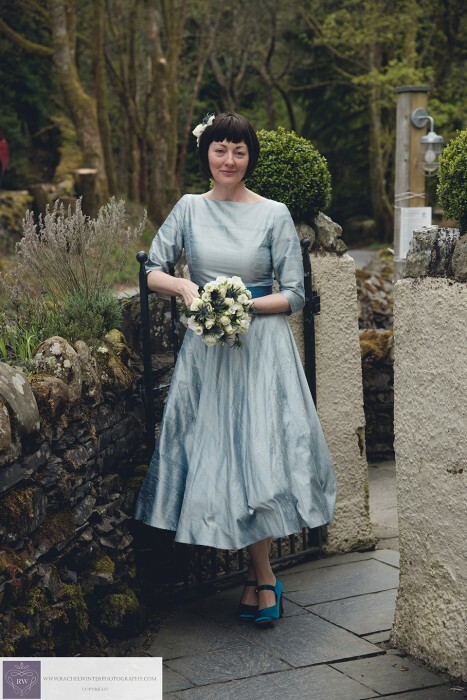 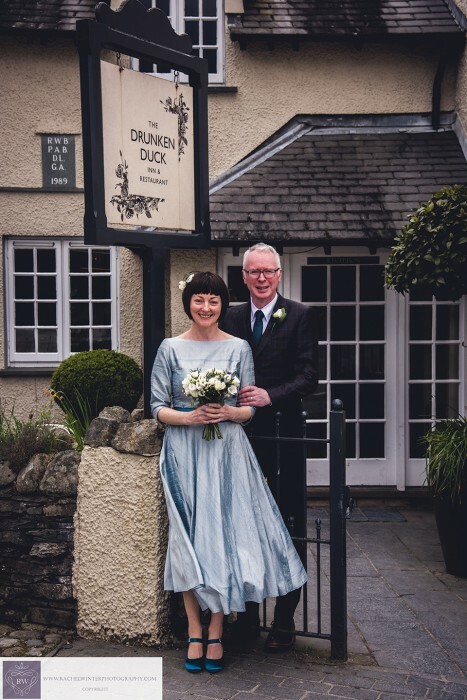 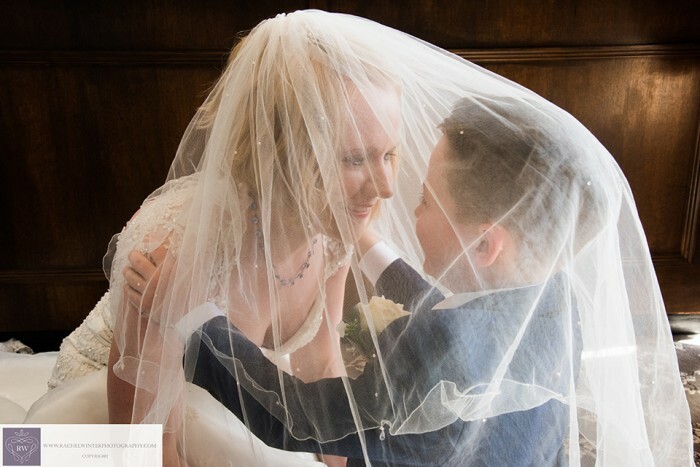 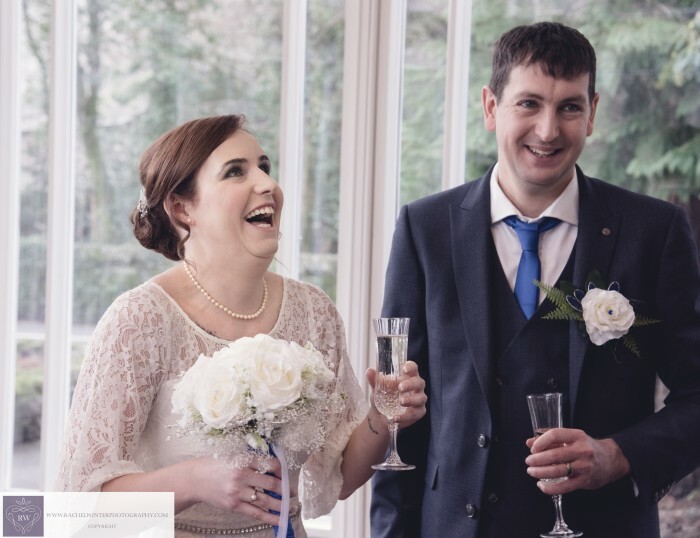 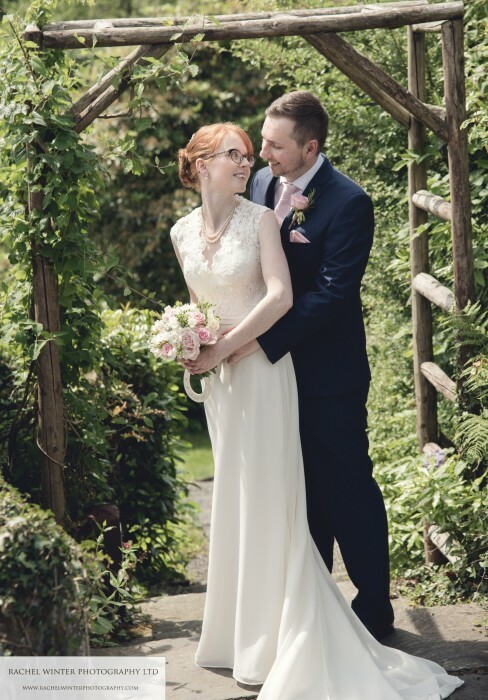 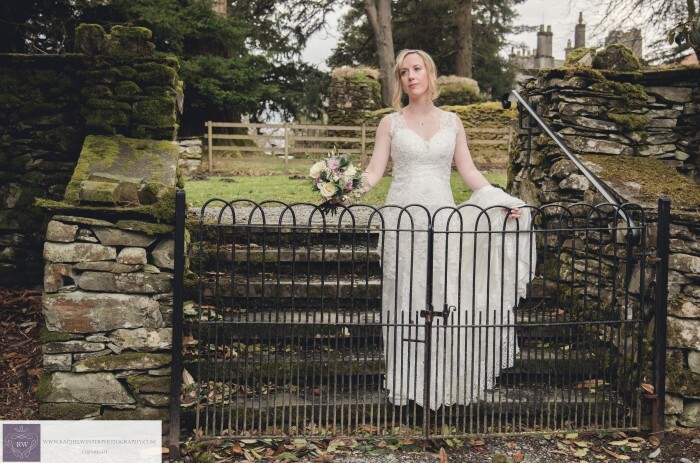 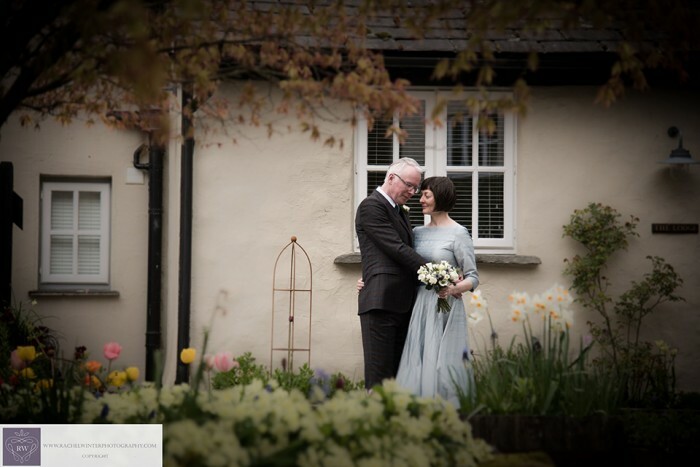 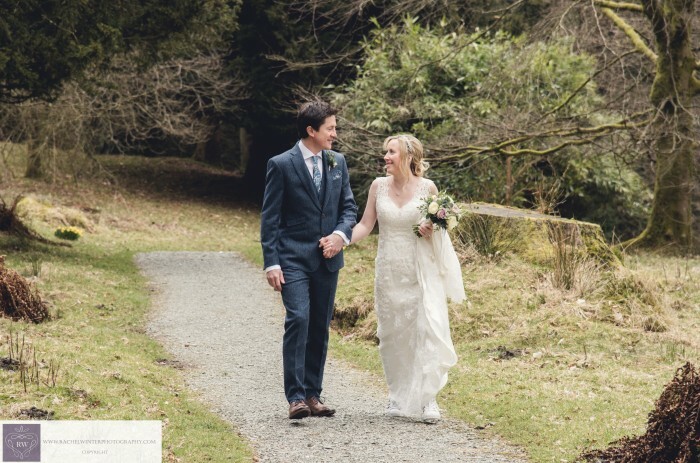 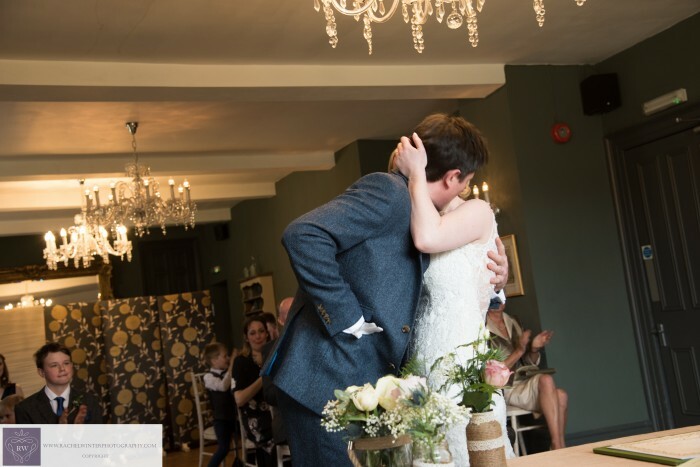 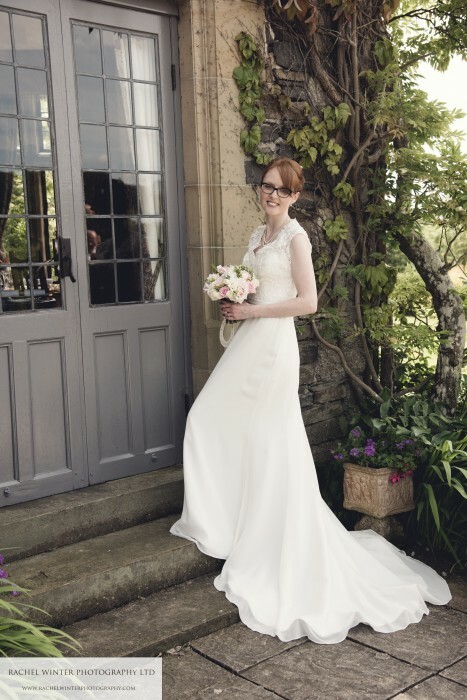 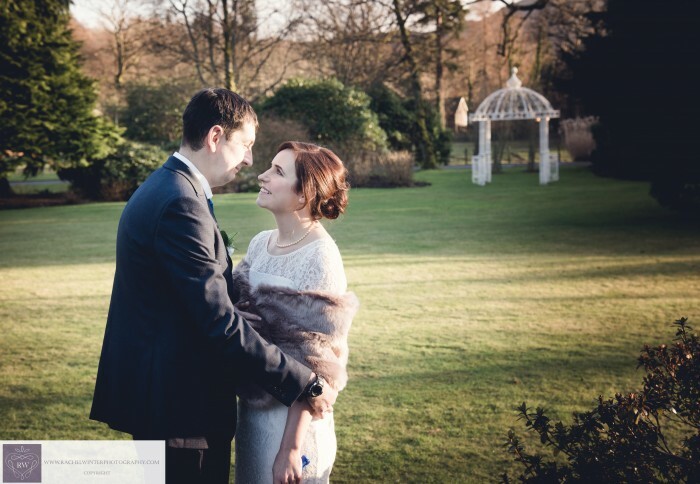 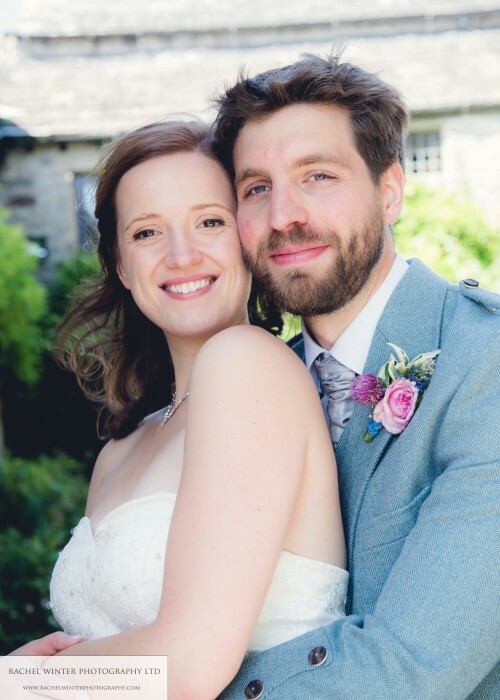 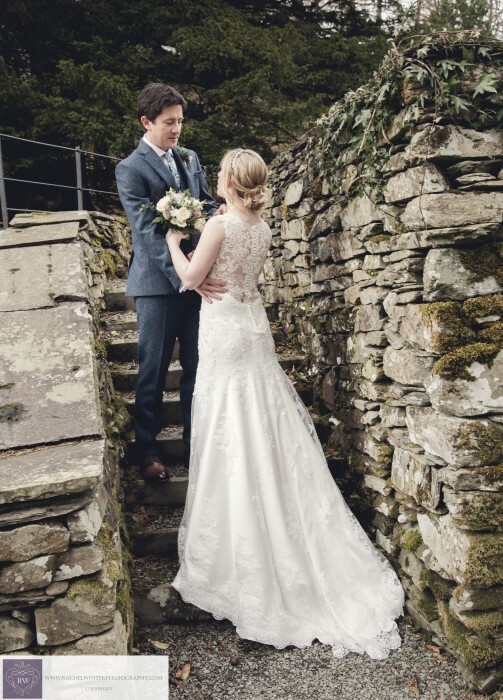 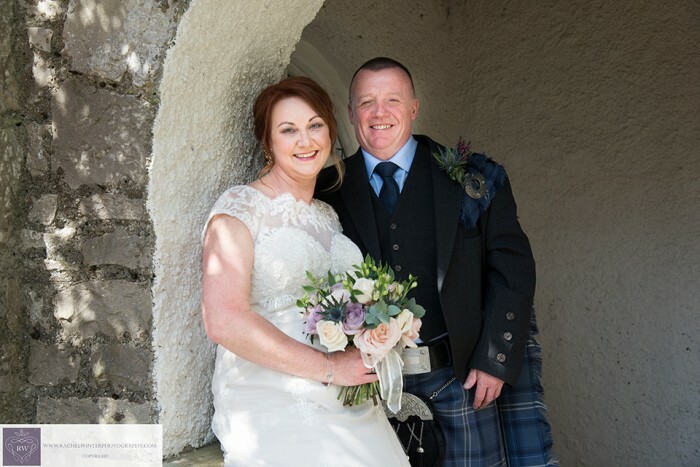 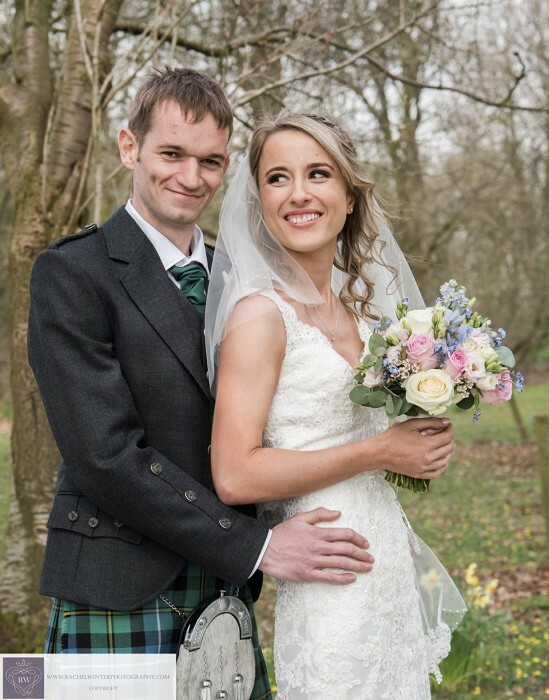 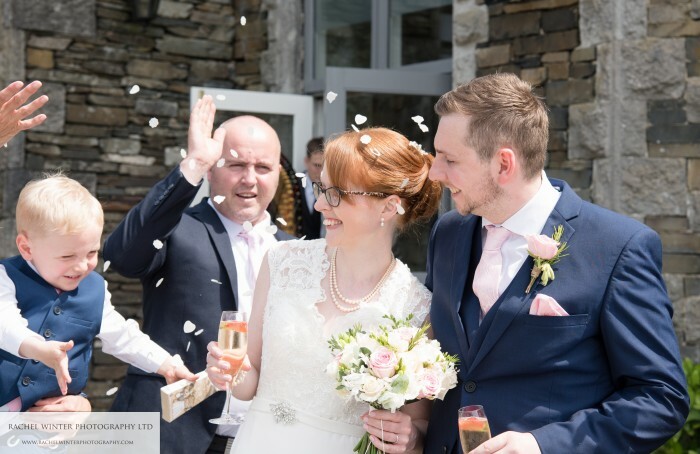 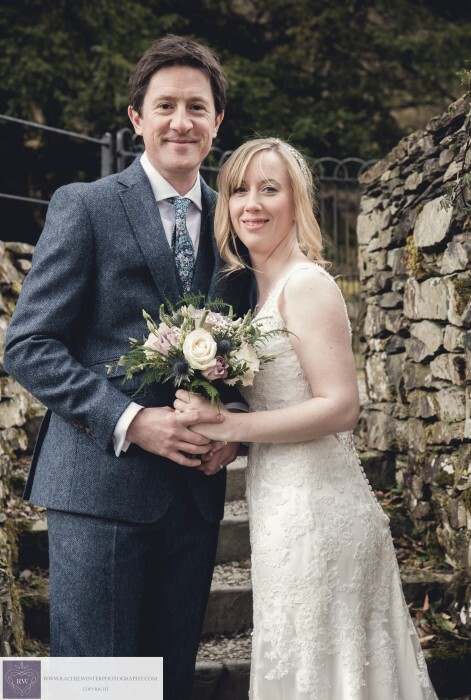 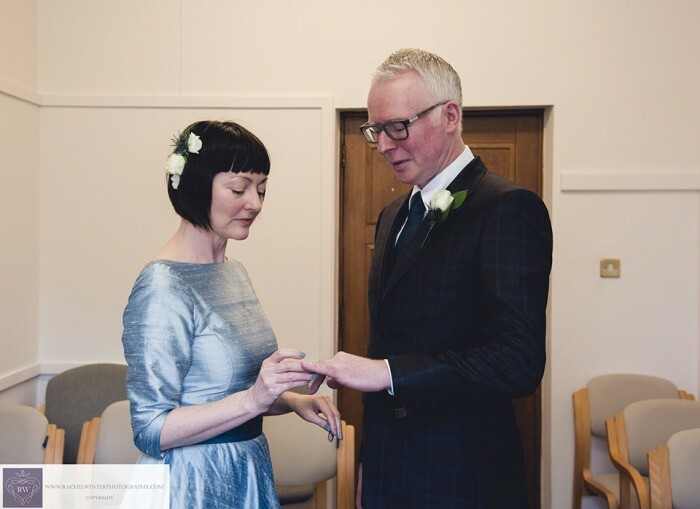 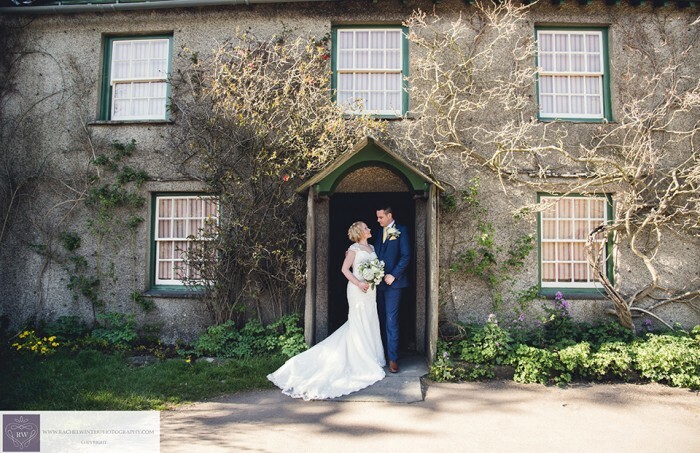 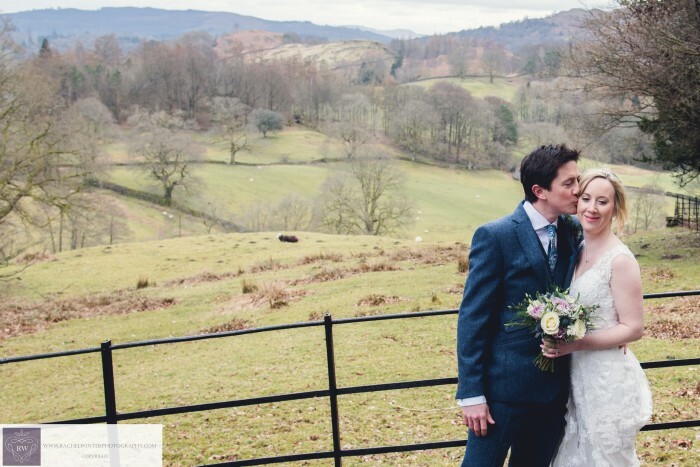 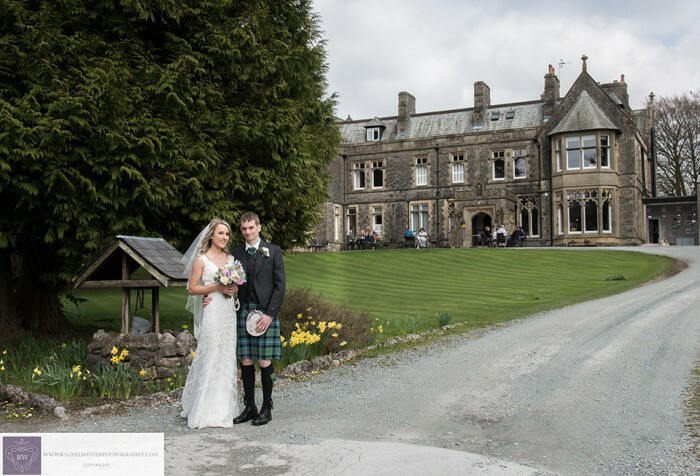 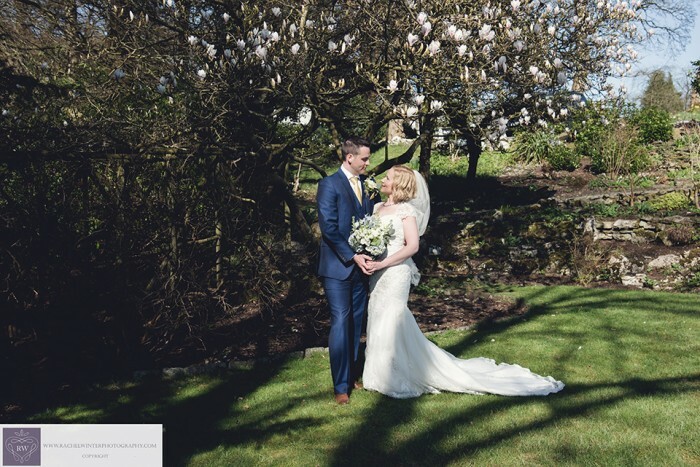 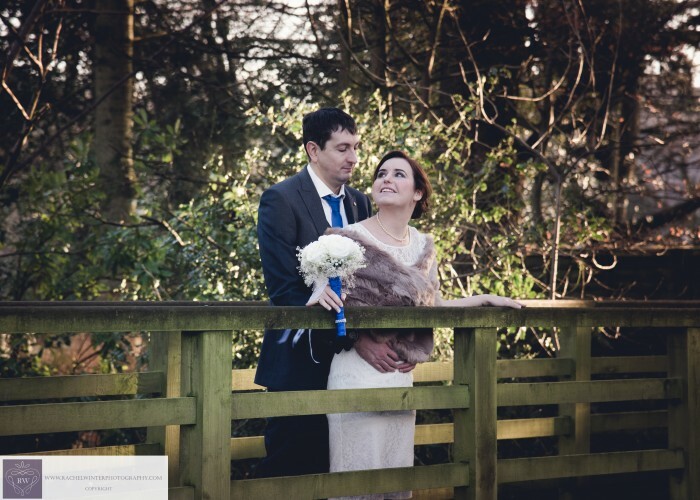 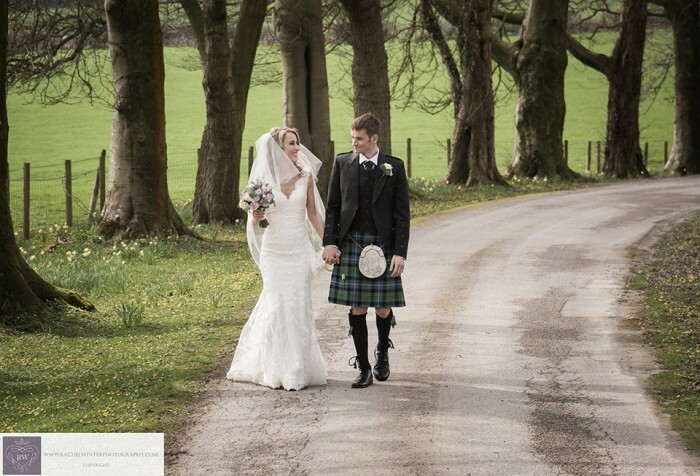 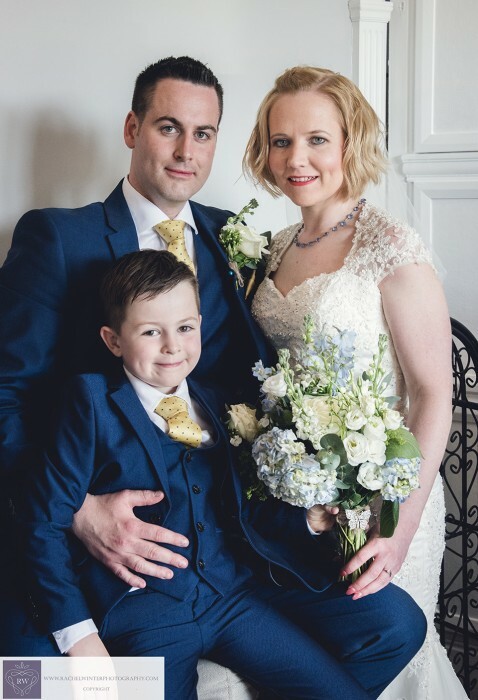 Helen and Aaron were married at Holbeck Ghyll in a lovely ceremony, conducted by Kendal Register office. 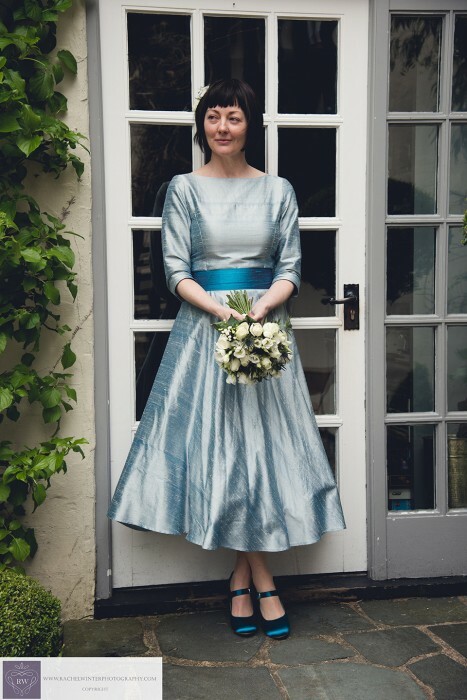 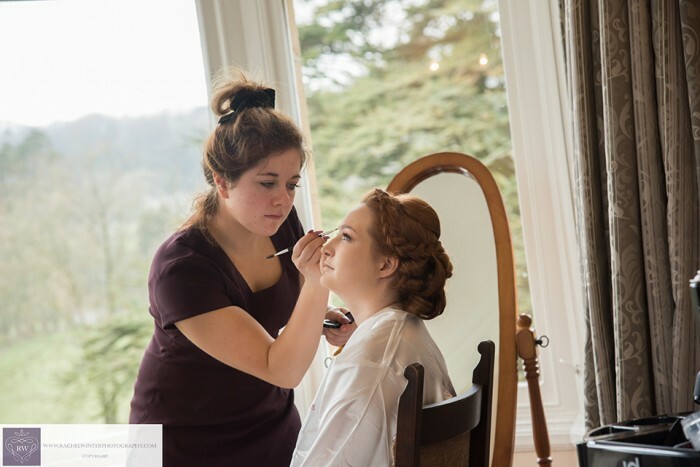 I started the day as Helen and her Mum’s makeup artist, with hair by the talented Anna Sorbie. 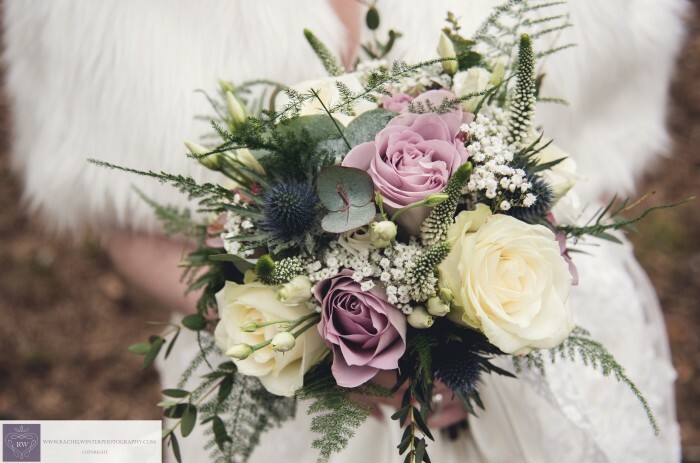 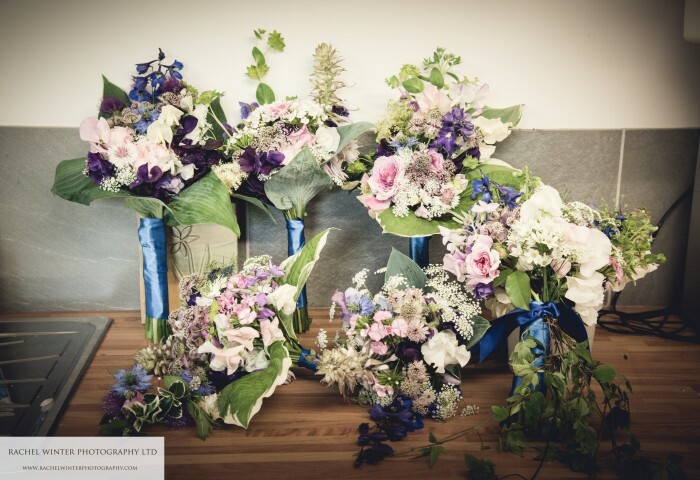 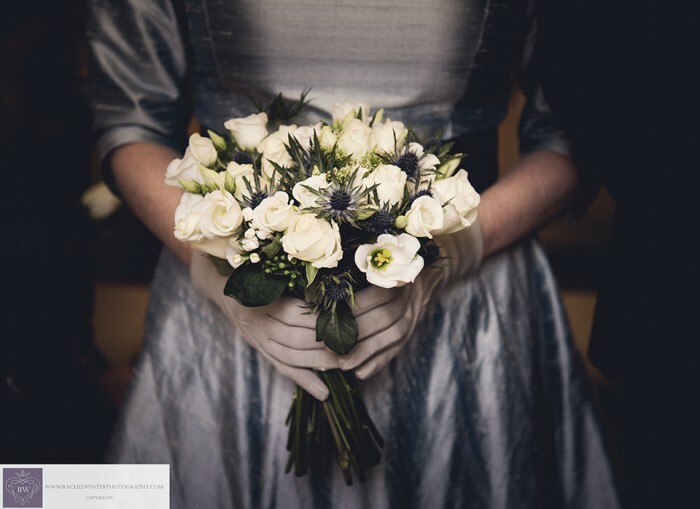 The beautiful flowers were provided by Brackens of Bowness. 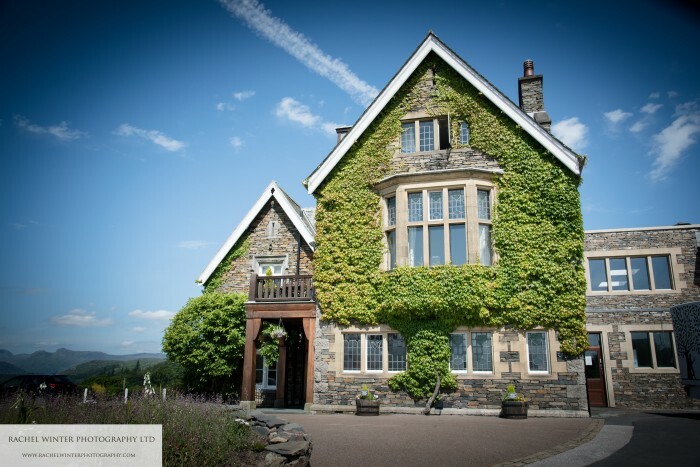 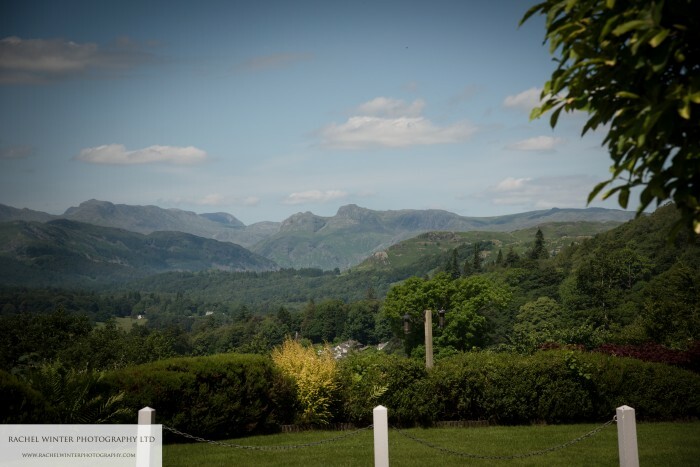 We enjoyed the gardens with their stunning views and also managed to go down to Waterhead for some pictures by the lake. 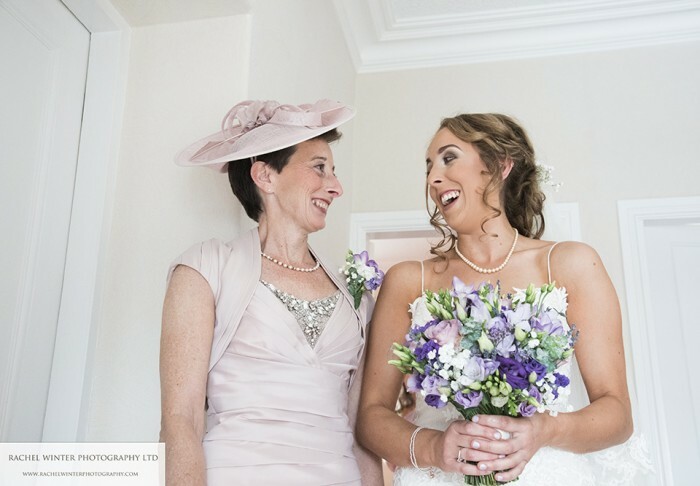 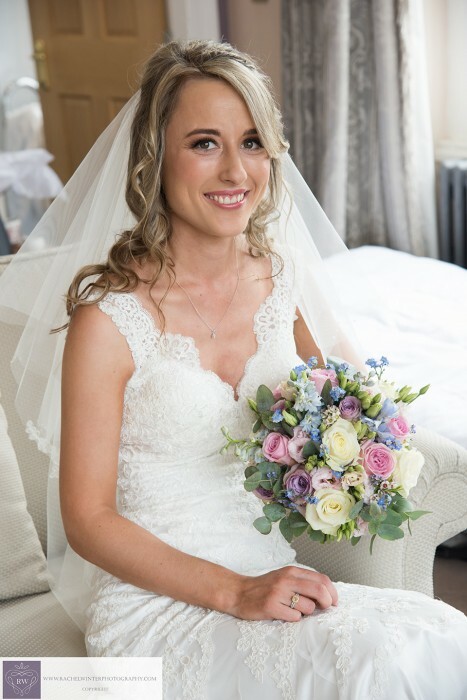 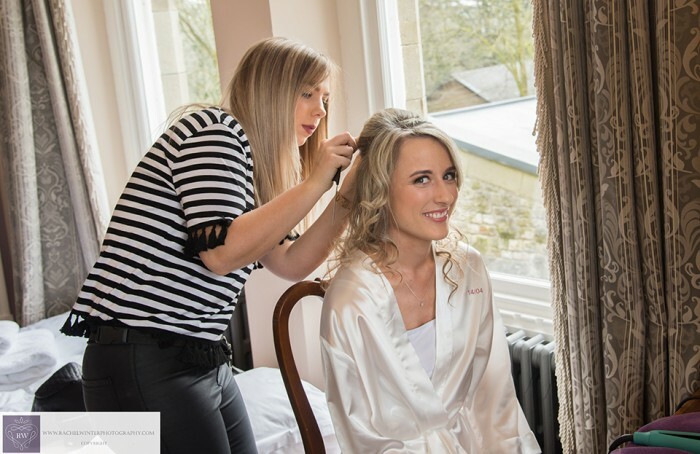 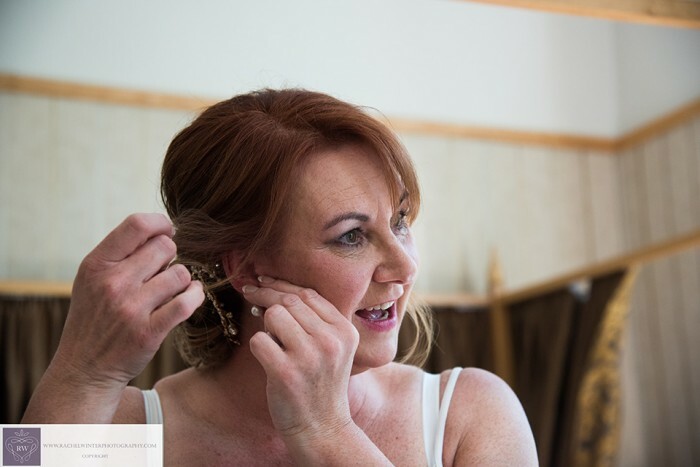 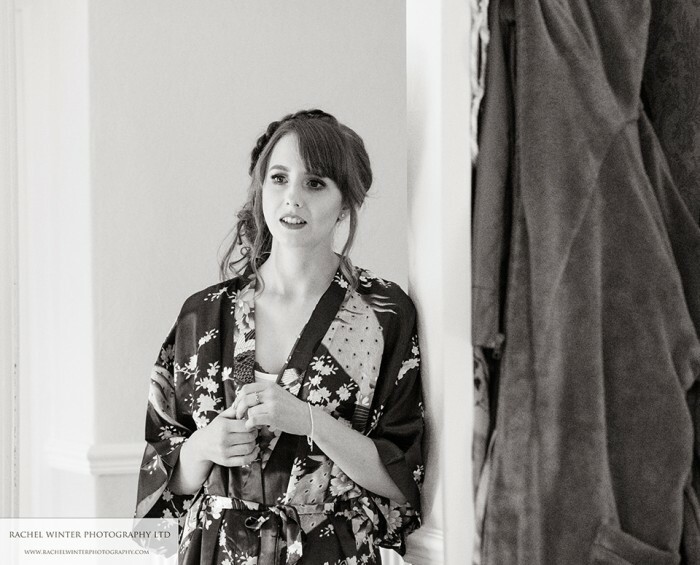 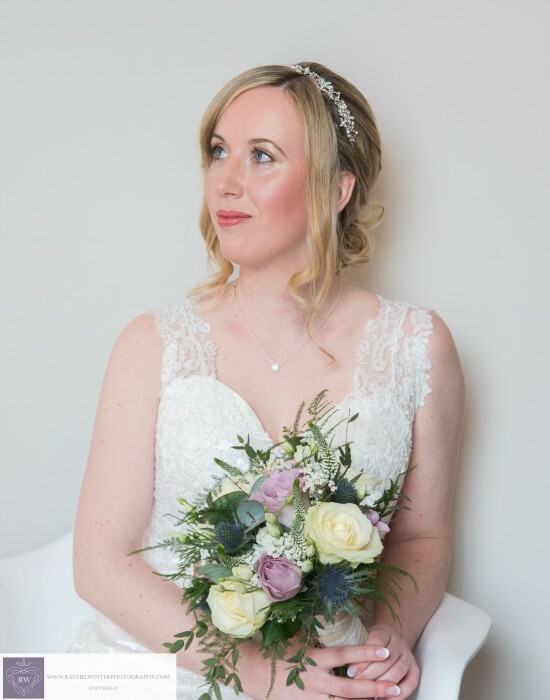 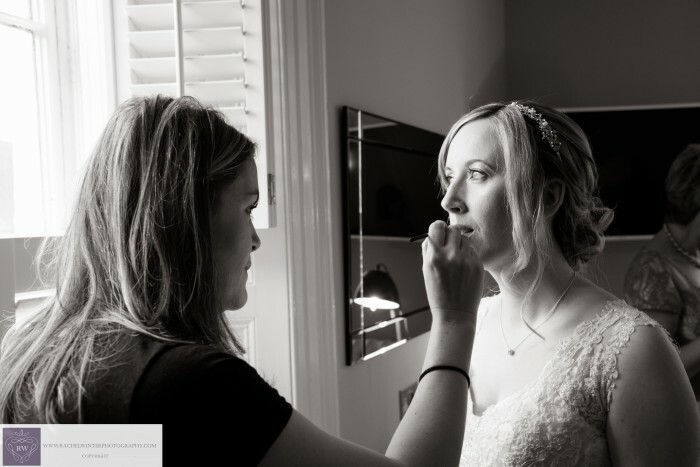 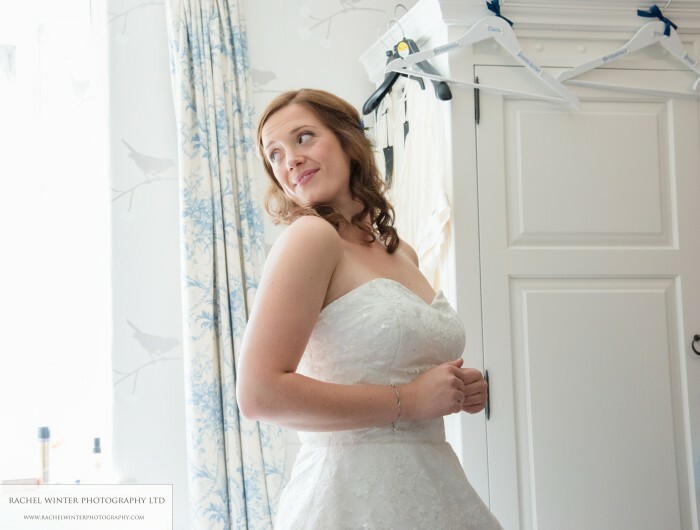 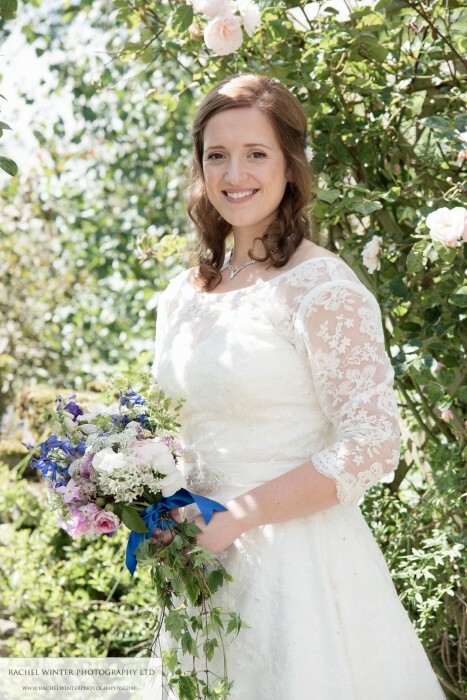 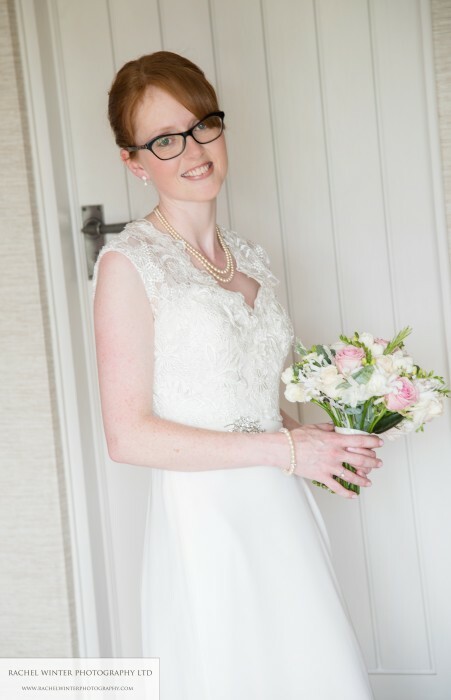 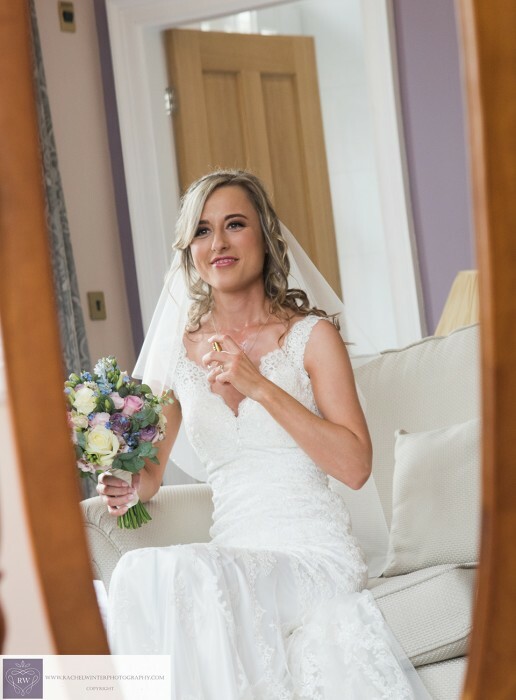 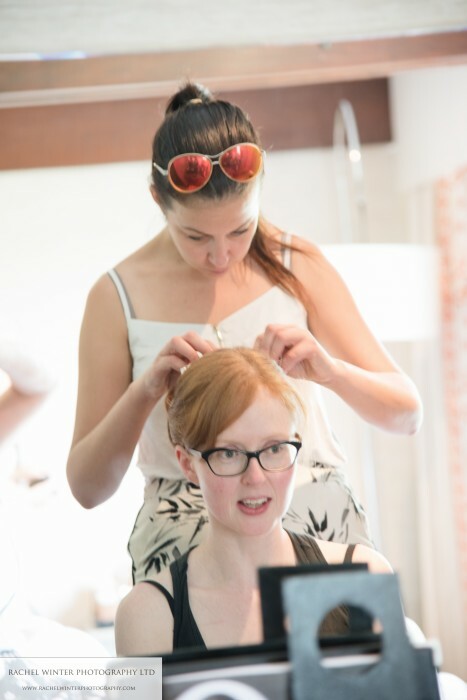 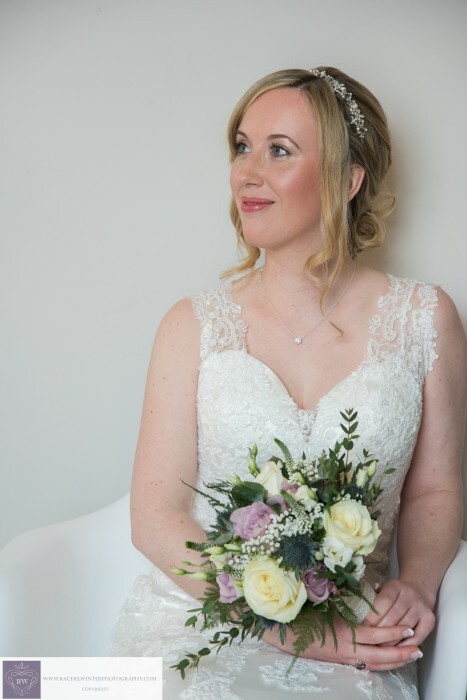 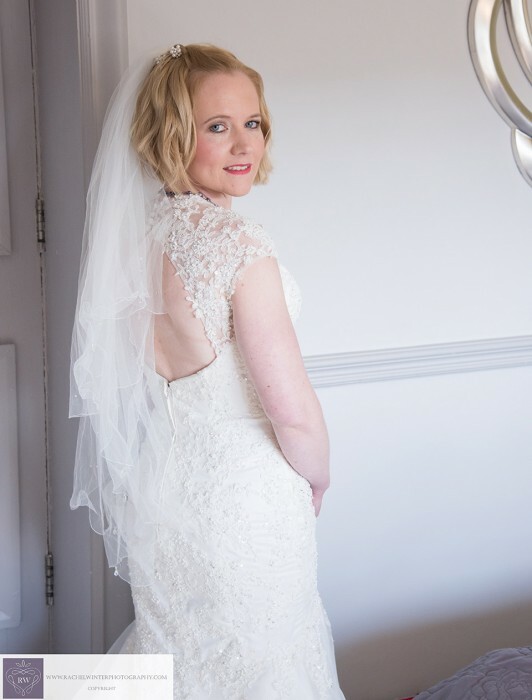 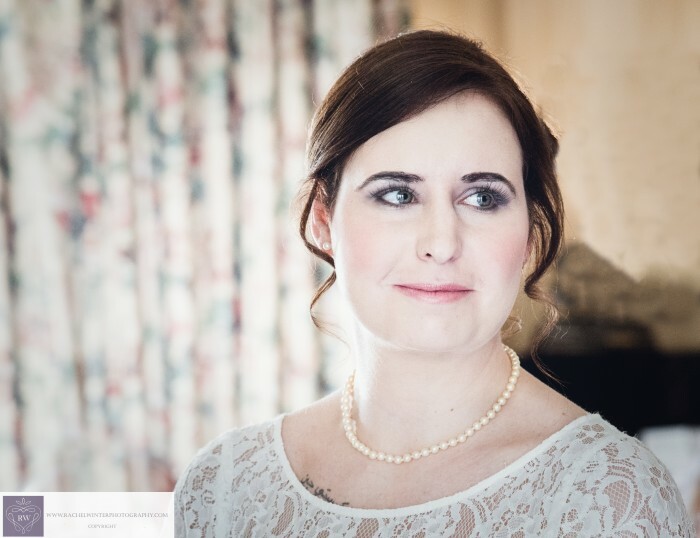 I had met Kirsty prior to her wedding when she came for a makeup trial with me, before her big day. 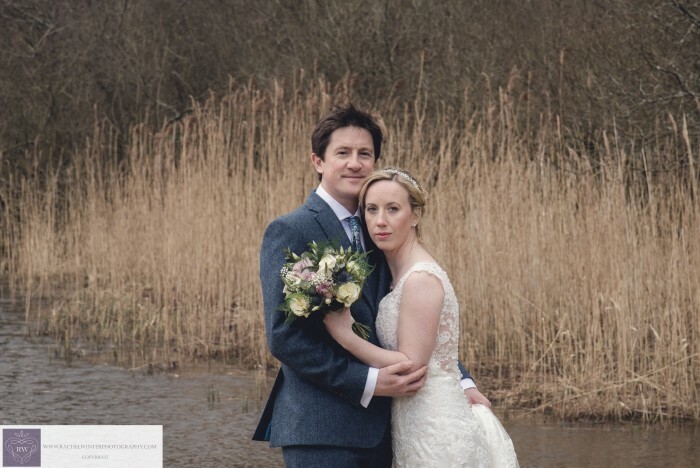 I awoke to torrential rain (well it was January) and prepared ready for what I thought was going to be a predominantly indoor wedding. 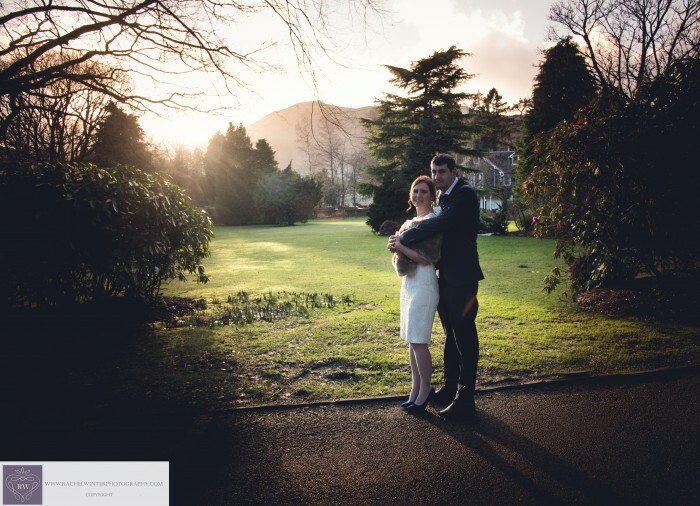 As I drove to The Wordsworth Hotel in Grasmere, the clouds parted and beautiful winter sun shone on the Lakeland fells. 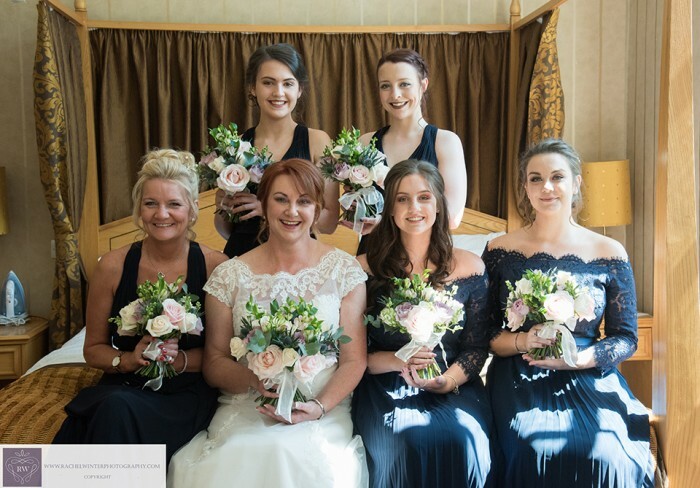 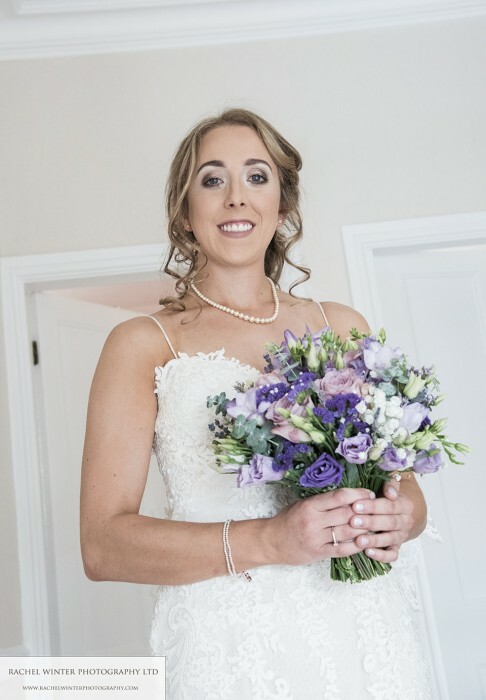 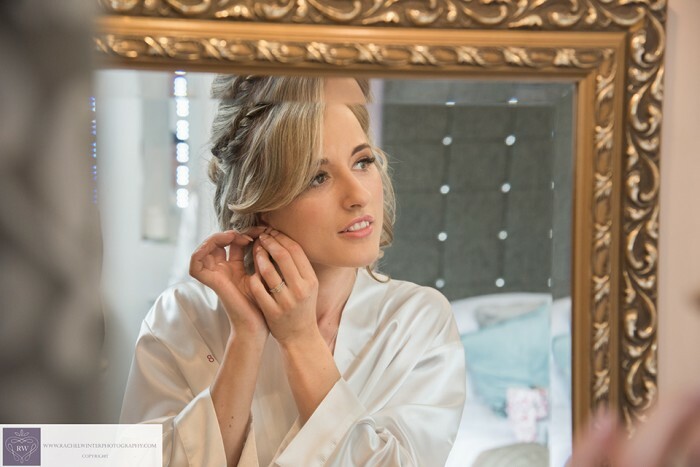 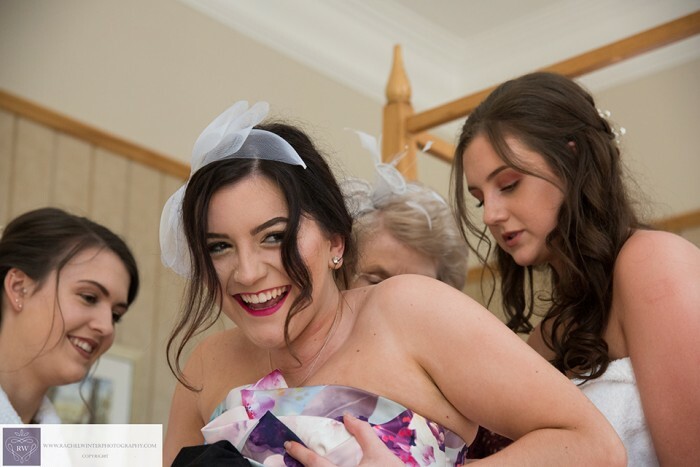 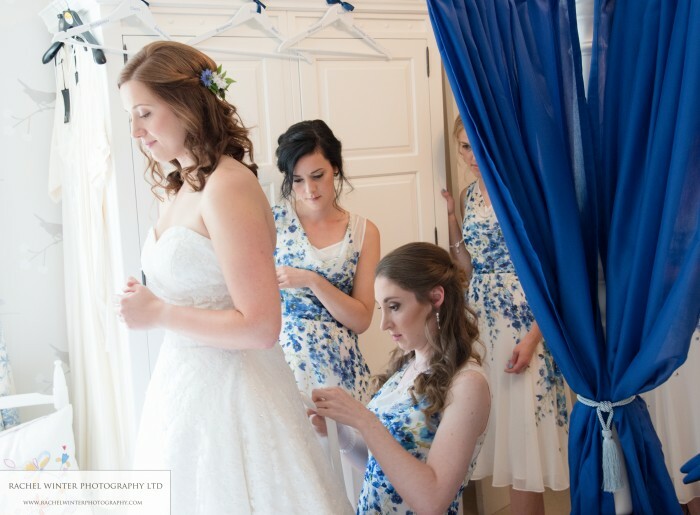 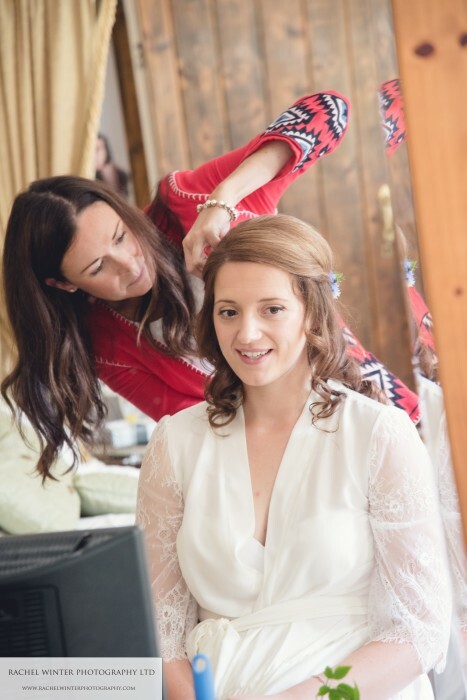 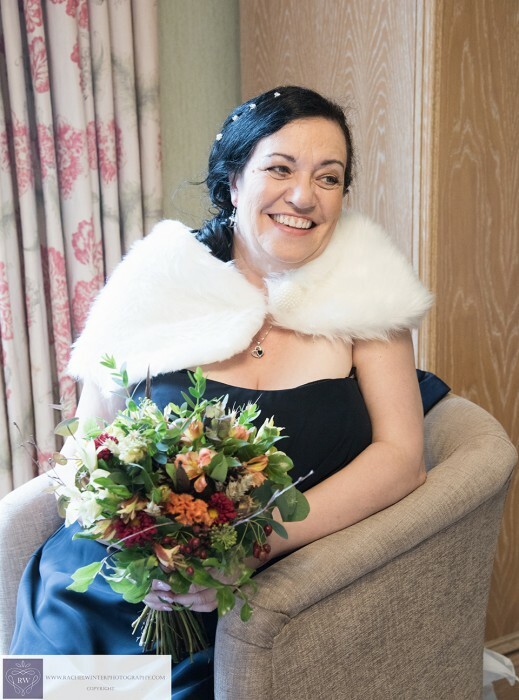 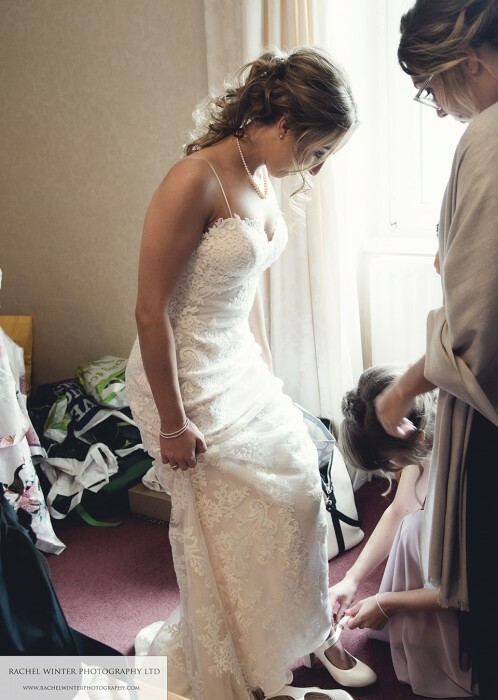 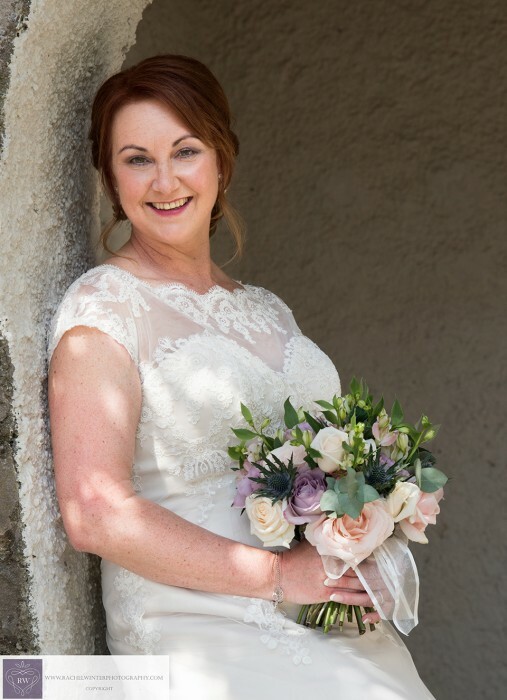 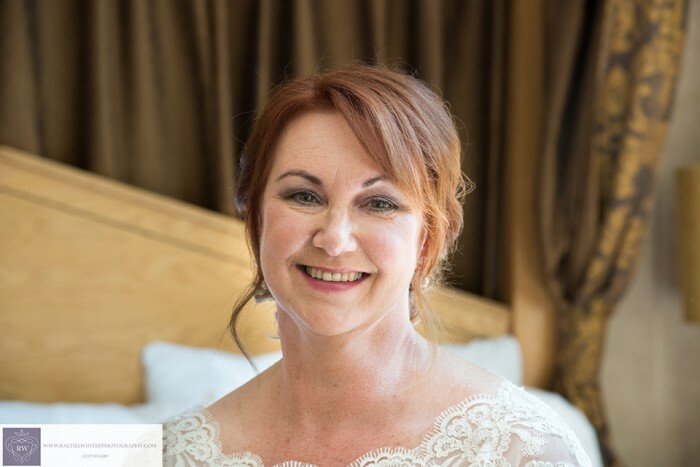 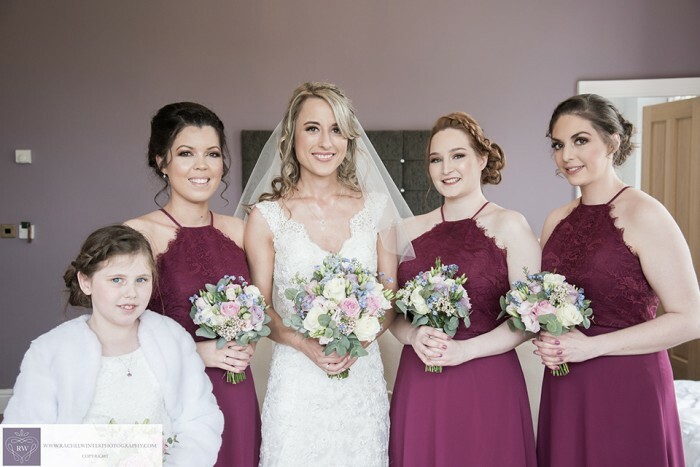 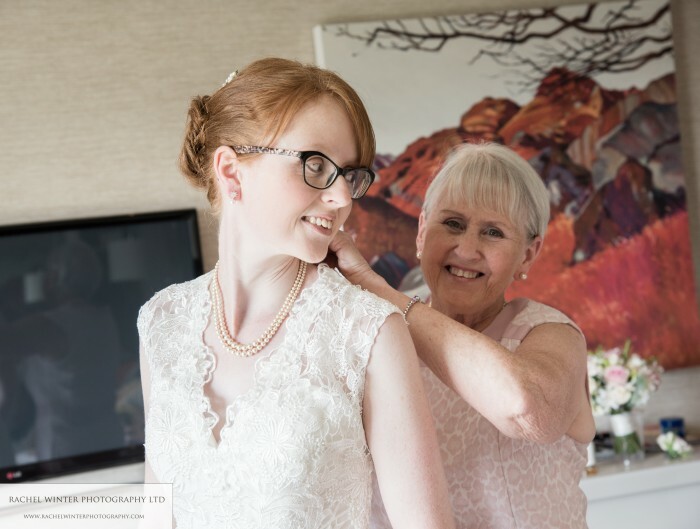 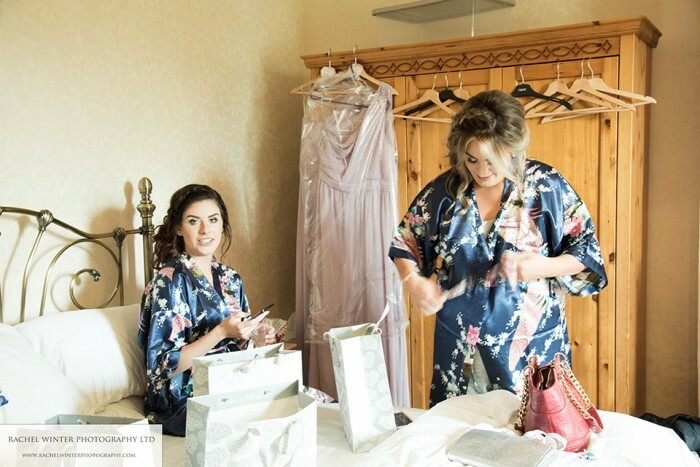 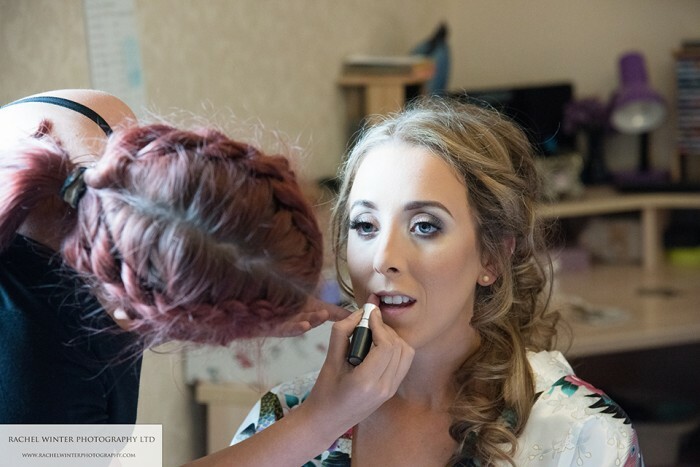 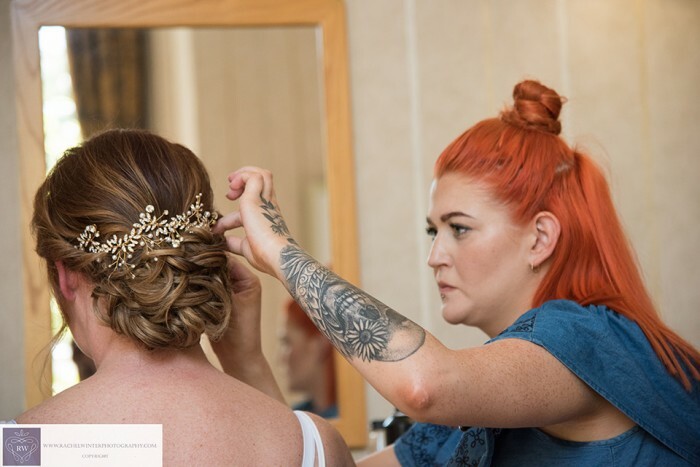 I arrived at 12 noon and the girls were ready, hair done by the very talented Gareth from Aqua hair salon in Windermere, so everyone was relaxed and Kirsty was ready for me to apply her wedding make up. 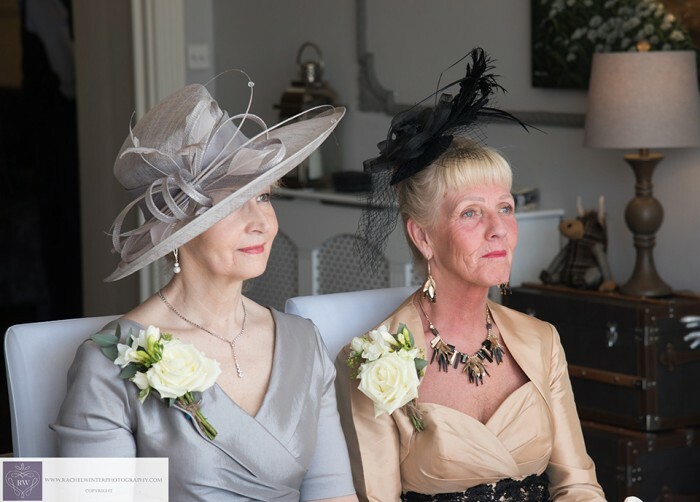 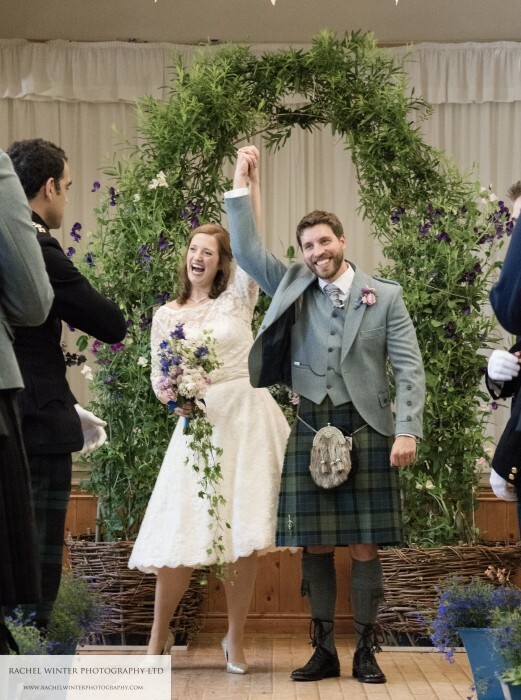 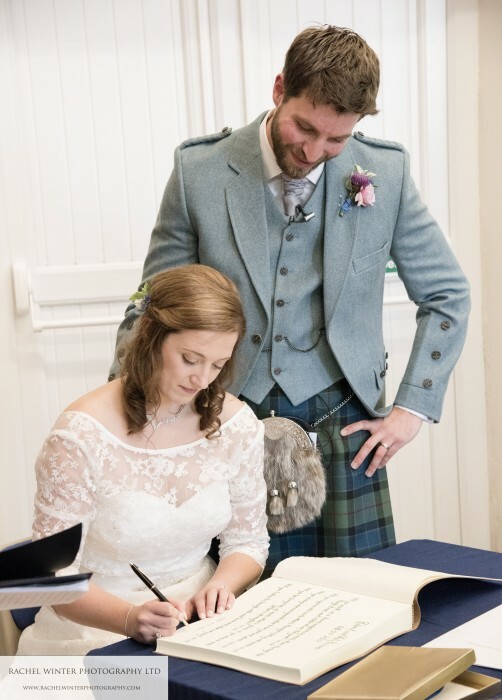 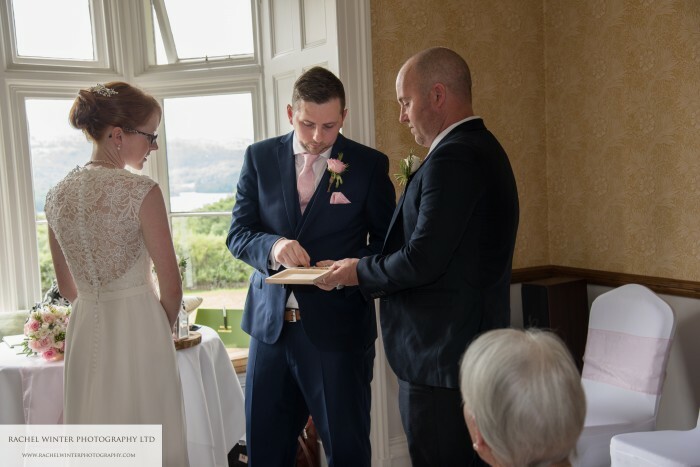 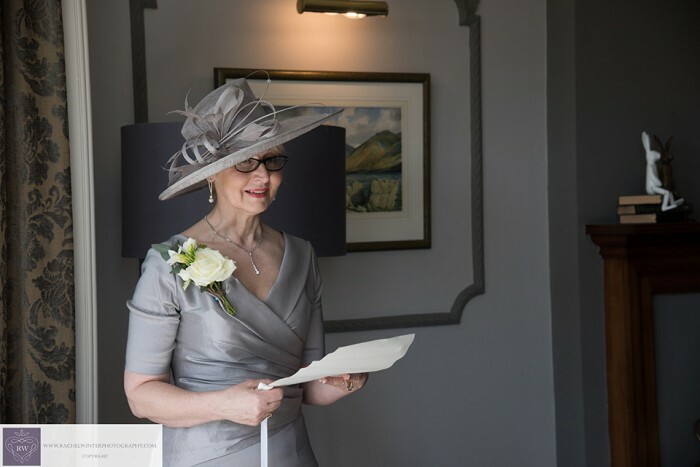 The ceremony was conducted at the hotel by Kendal registrars. 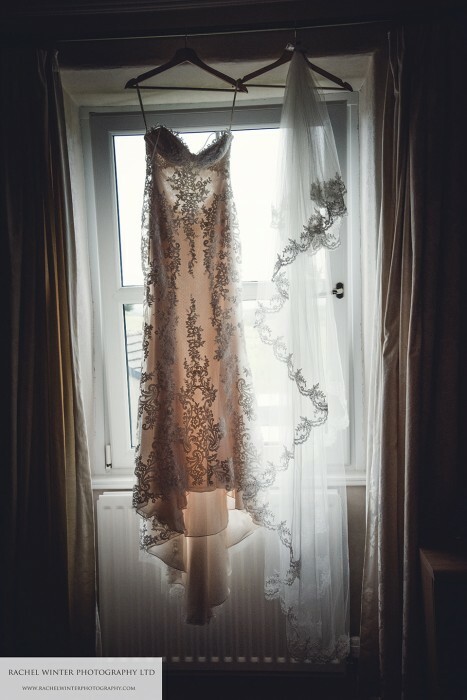 Time to brave outside. 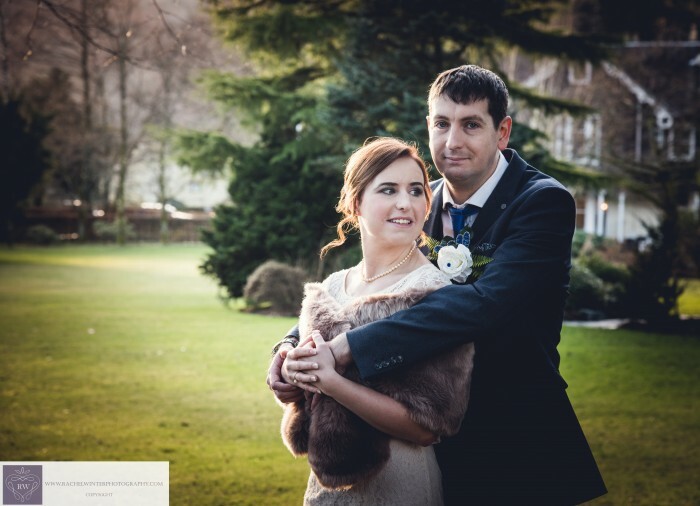 I have to say in 24 years of photographing weddings, this was one of the coldest I have ever experienced. 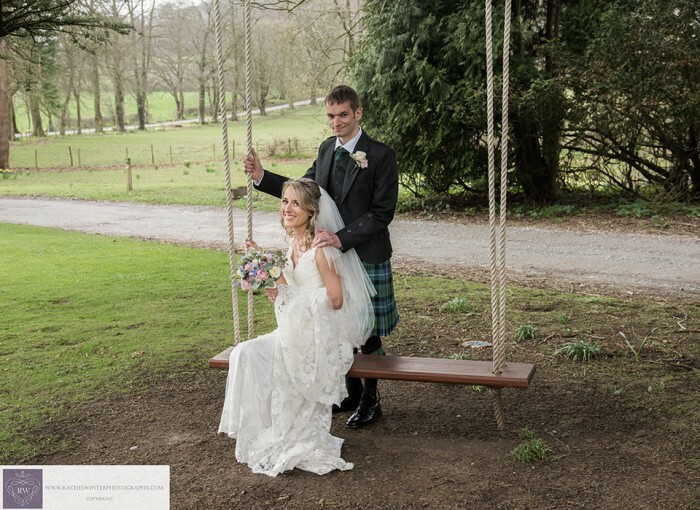 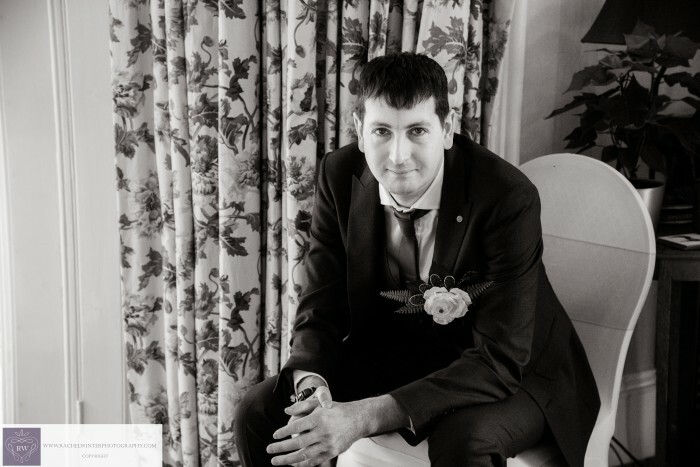 Complete 10 ou of 10 to the Bride and Groom for looking so relaxed on their pictures. 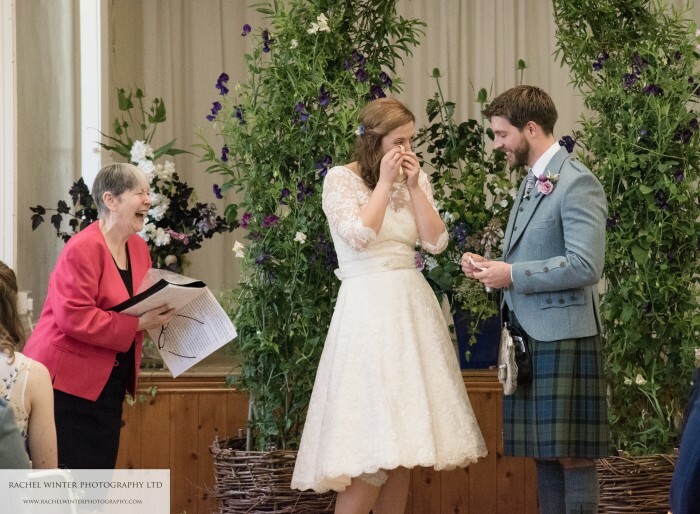 Goosepimples all round. 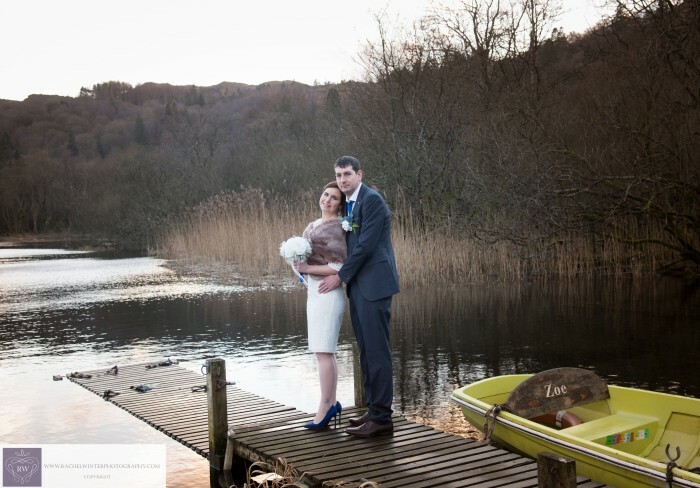 The wedding co ordinater Rachael, kindly drove us down to the lake where we were able to get some beautiful shots and very muddy shoes!! 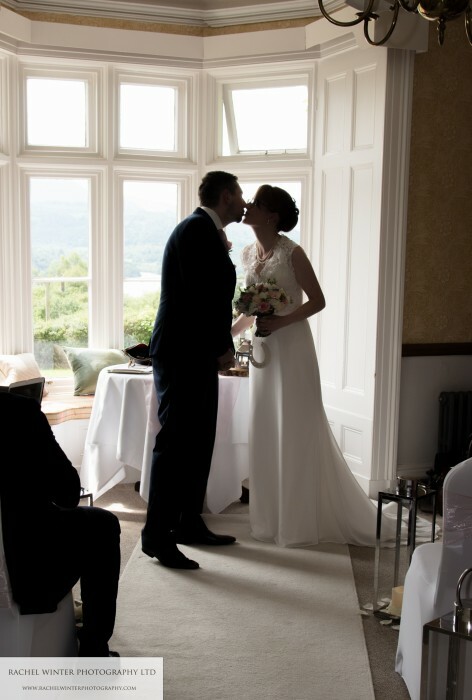 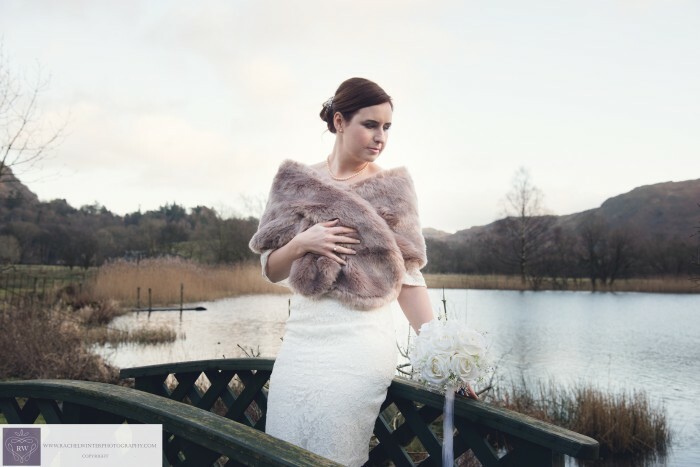 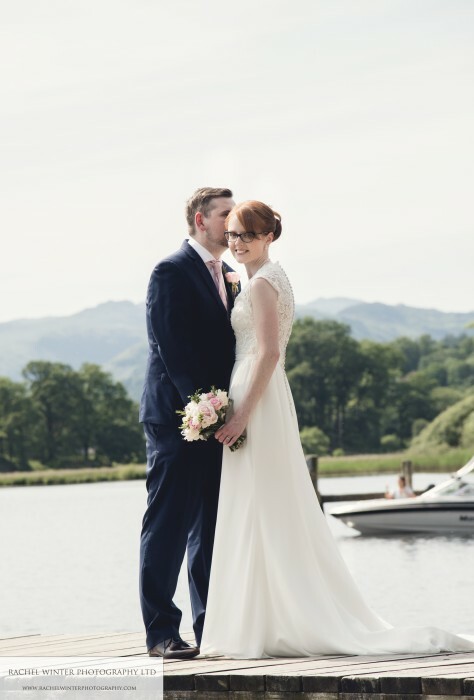 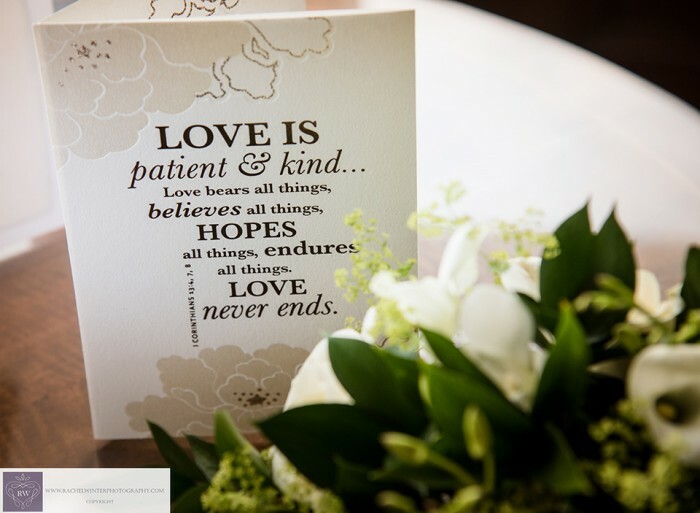 It is always very special to attend a wedding of just Bride and groom who have eloped to The Lake District. 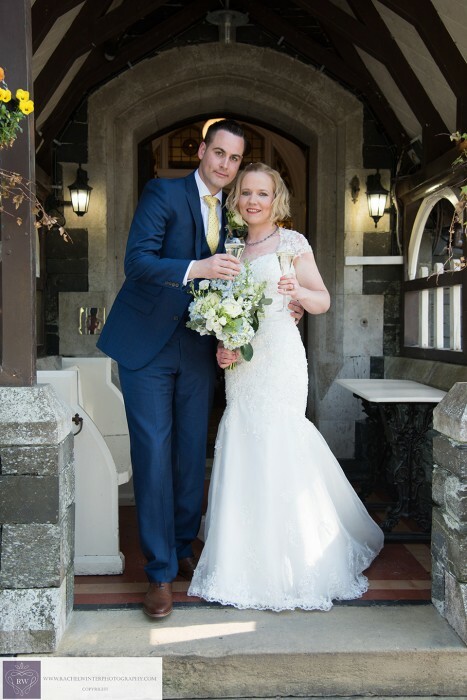 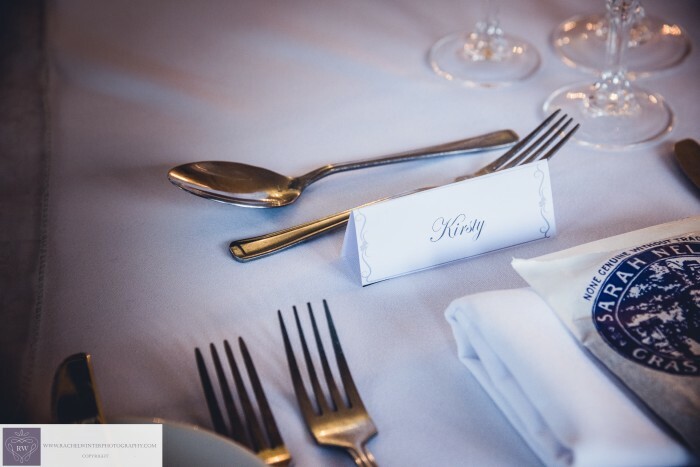 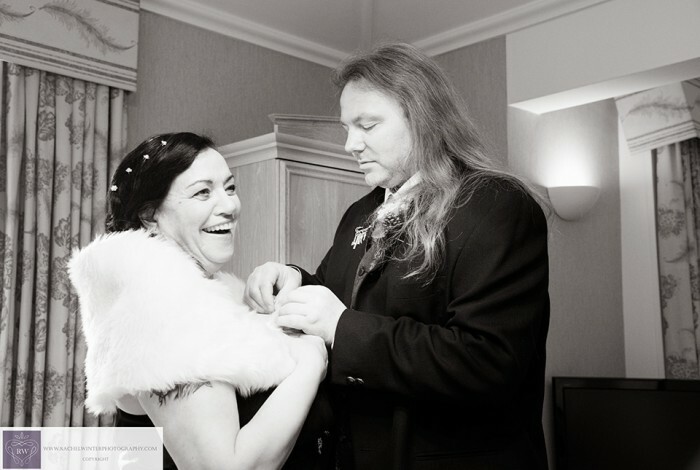 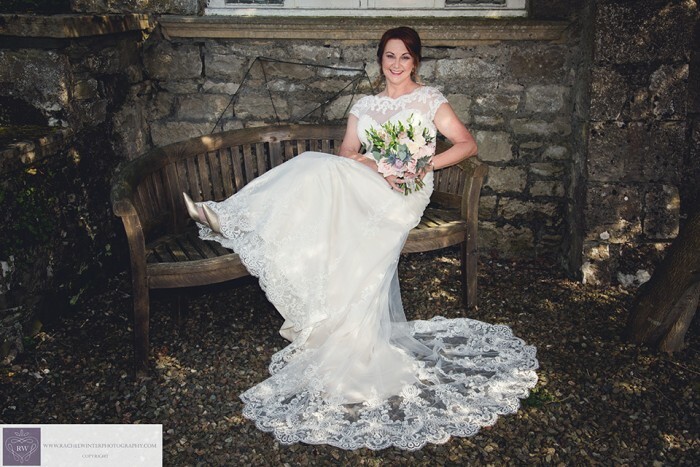 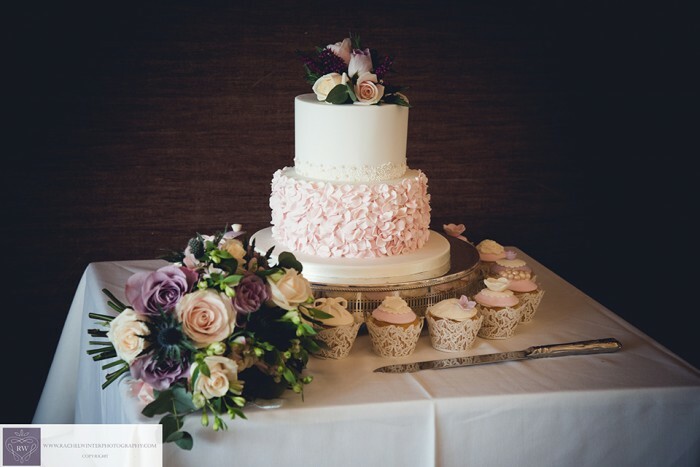 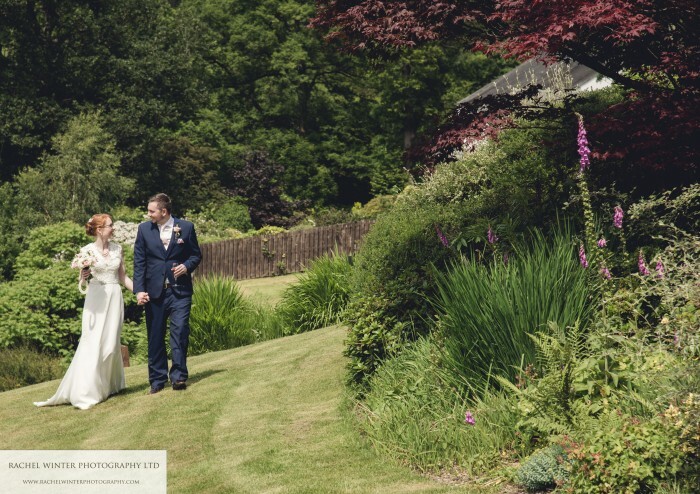 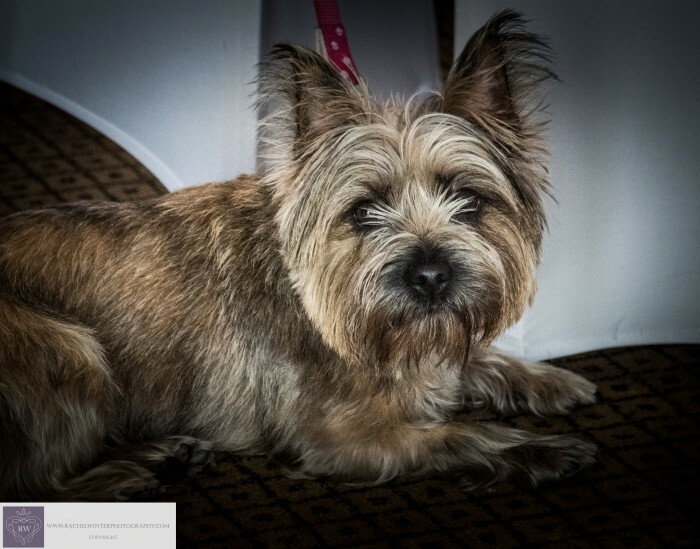 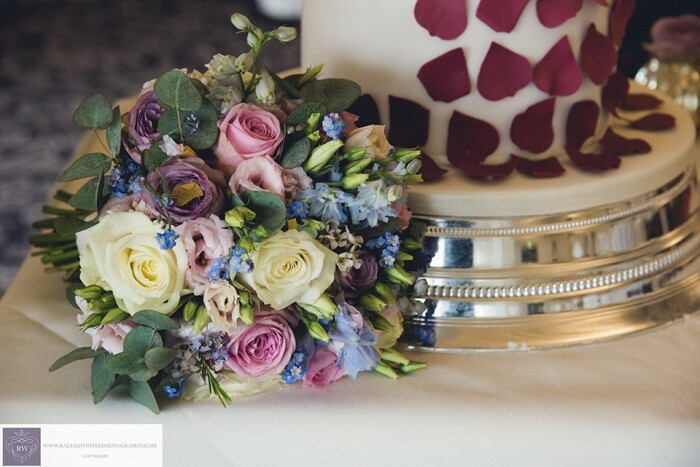 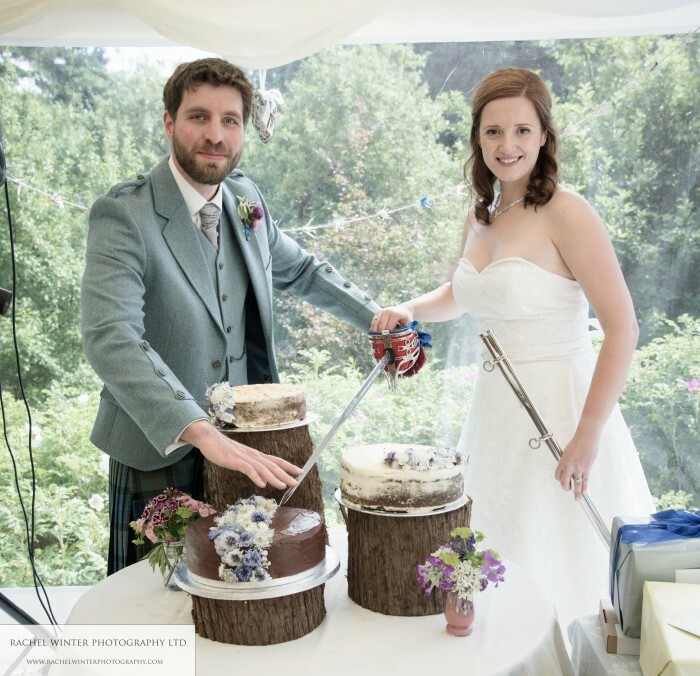 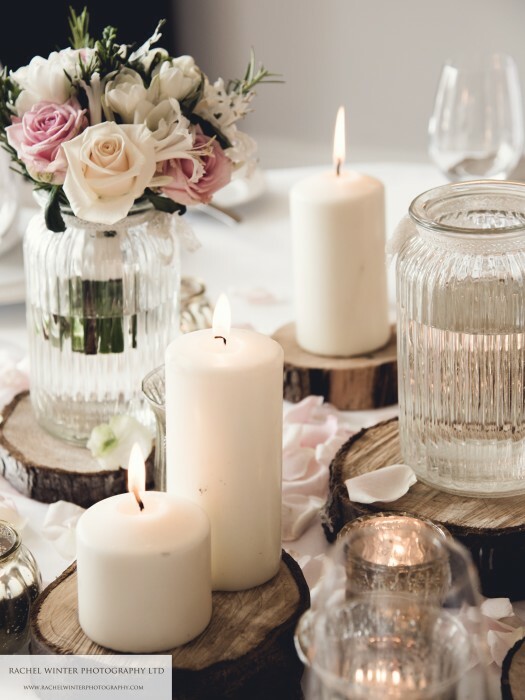 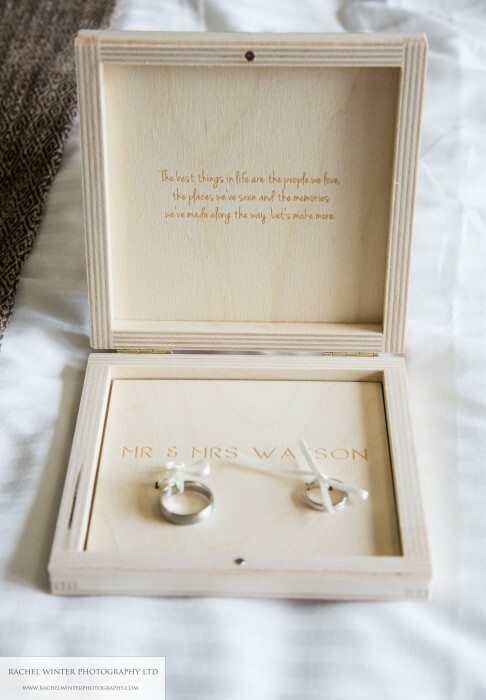 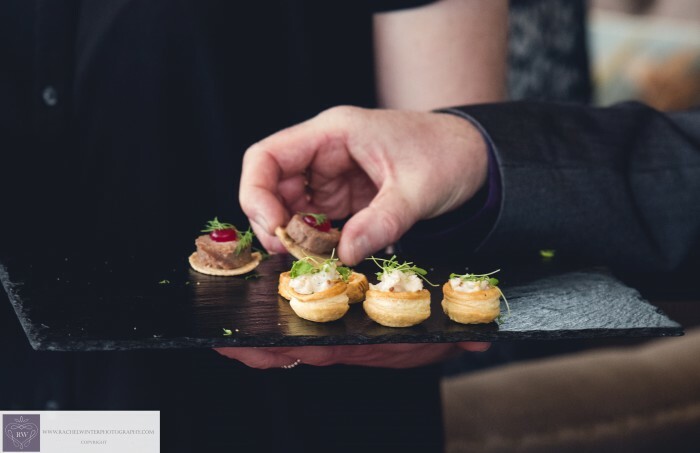 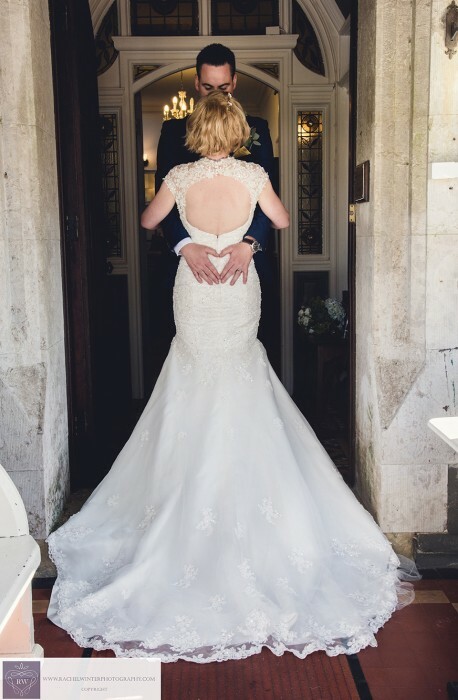 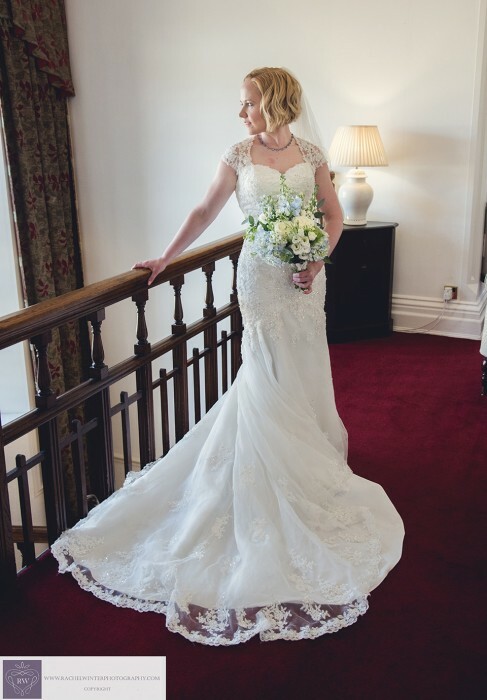 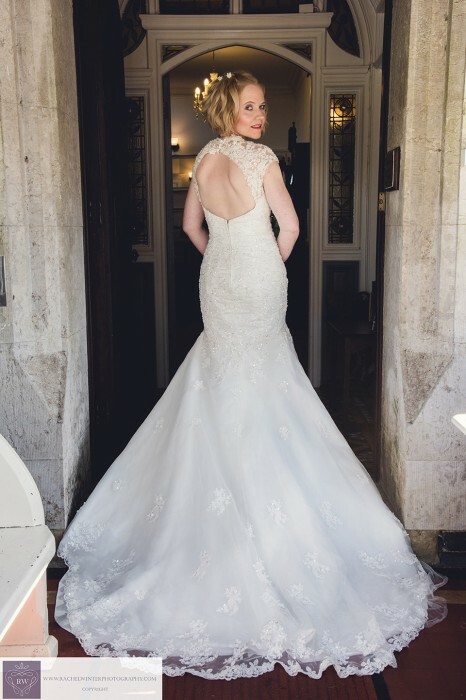 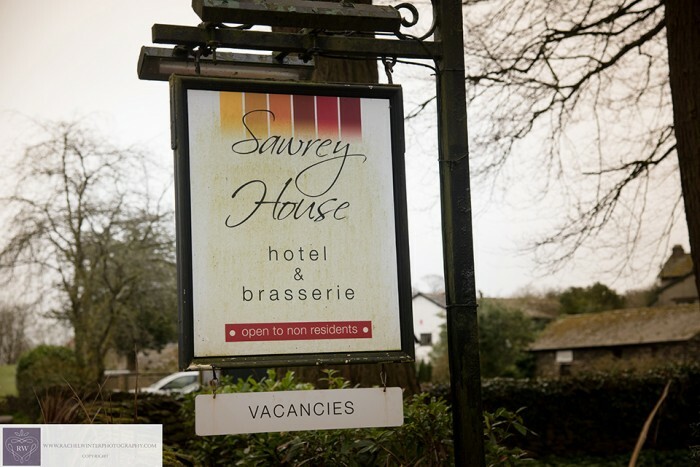 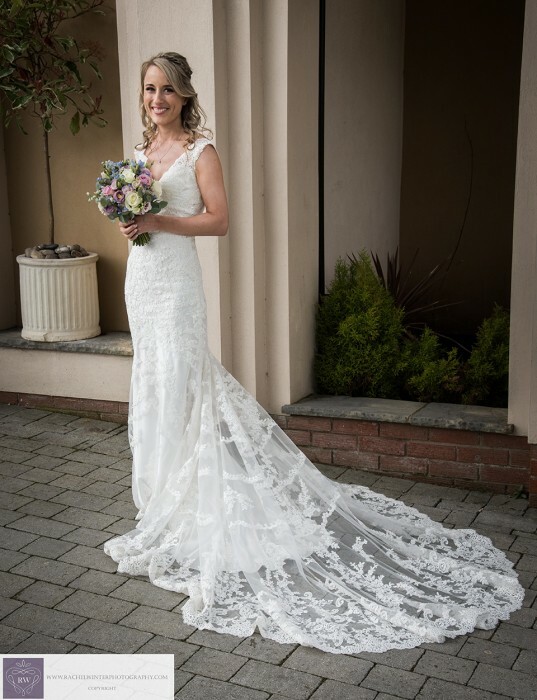 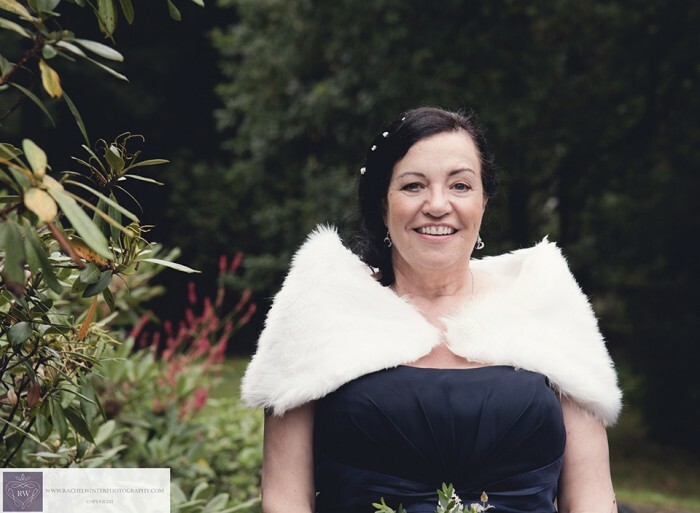 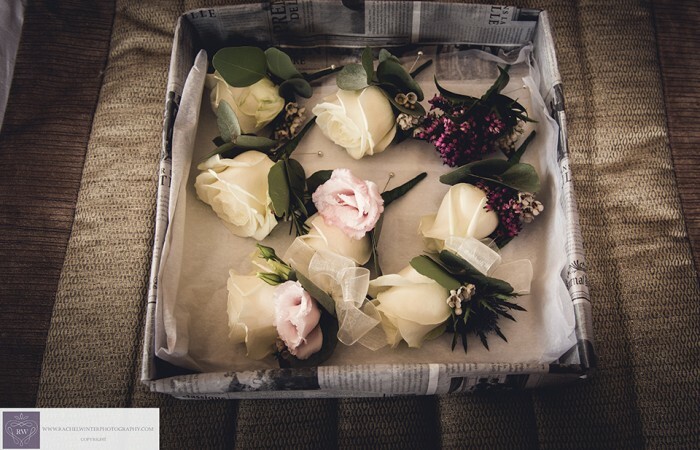 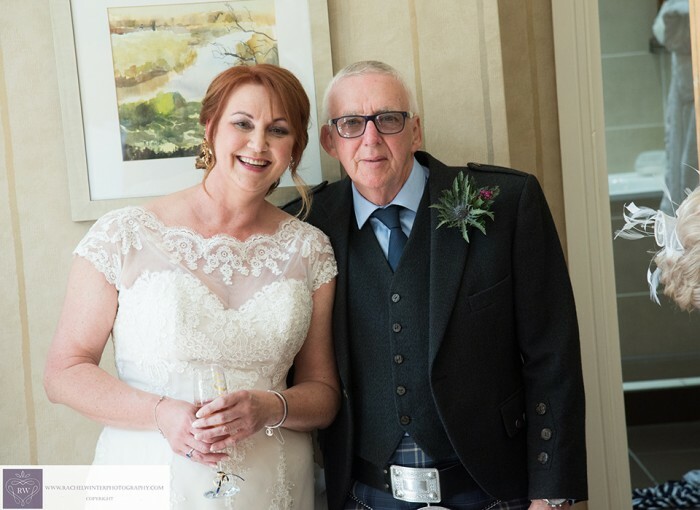 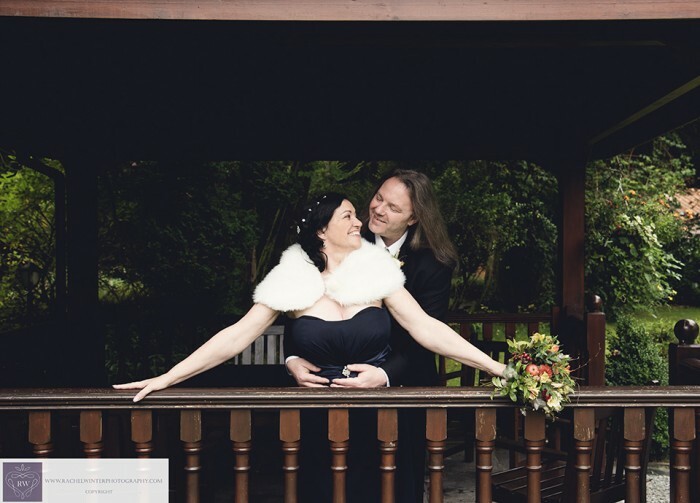 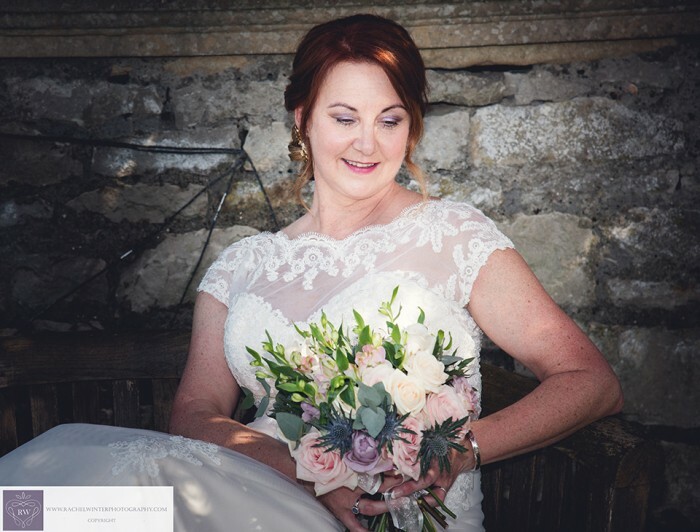 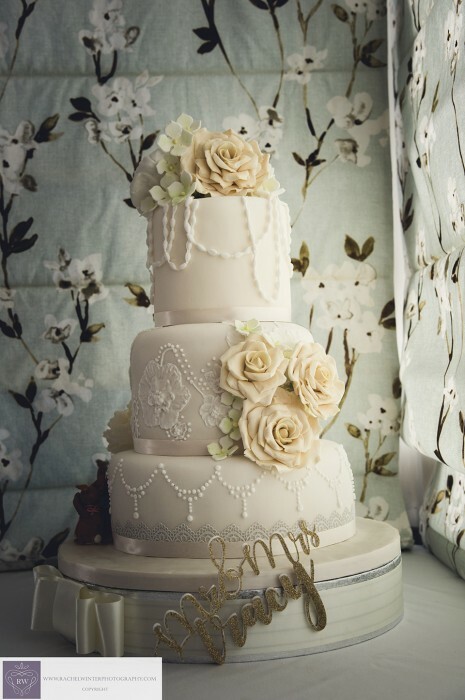 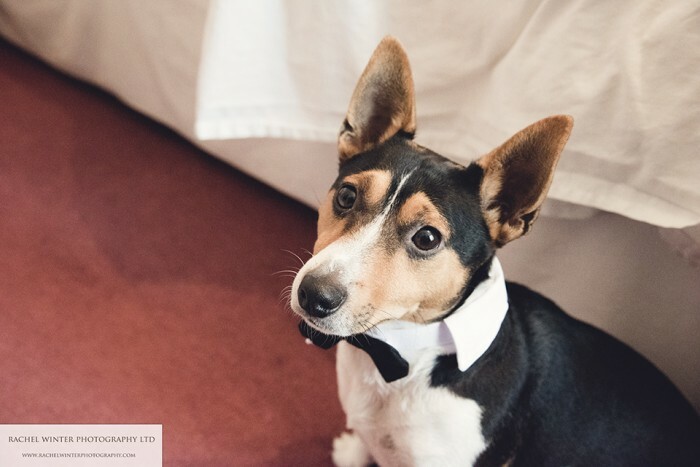 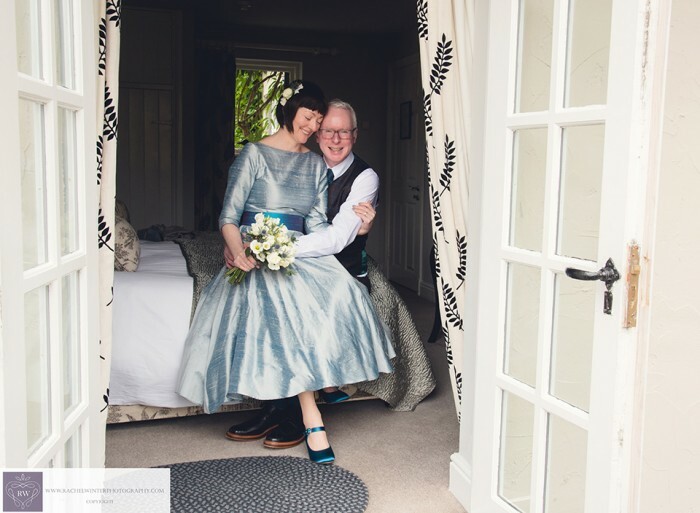 Sandra and Jason did just that in September this year and celebrated at The Briery Wood Country House Hotel. 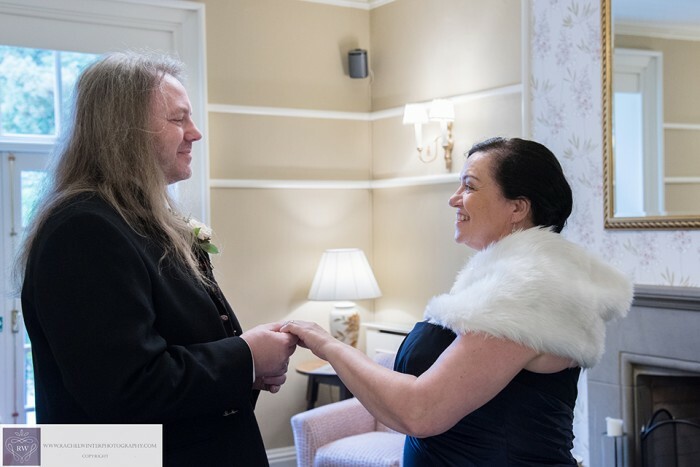 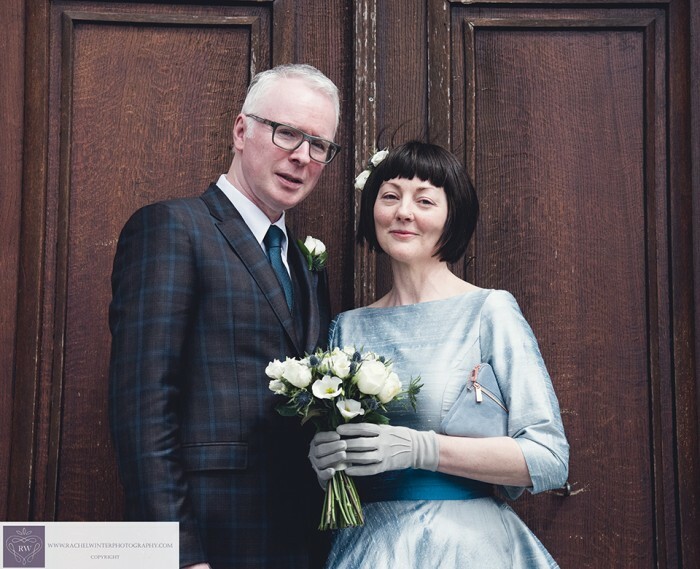 I had met this lovely couple previously, when Sandra had her hair and makeup trial with me, so we felt like we knew each other on the day. 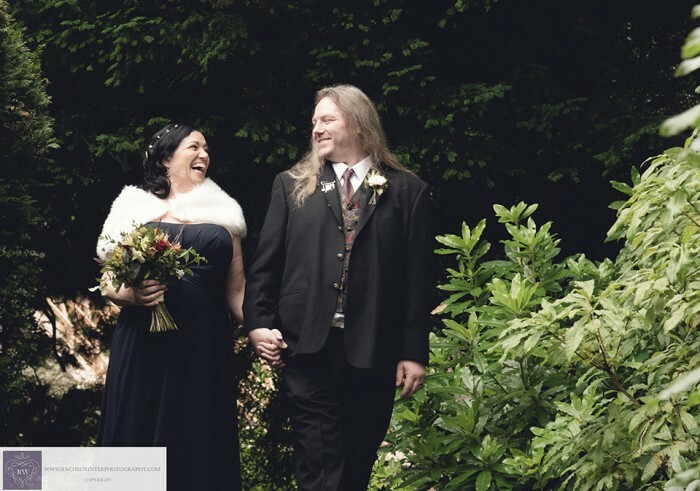 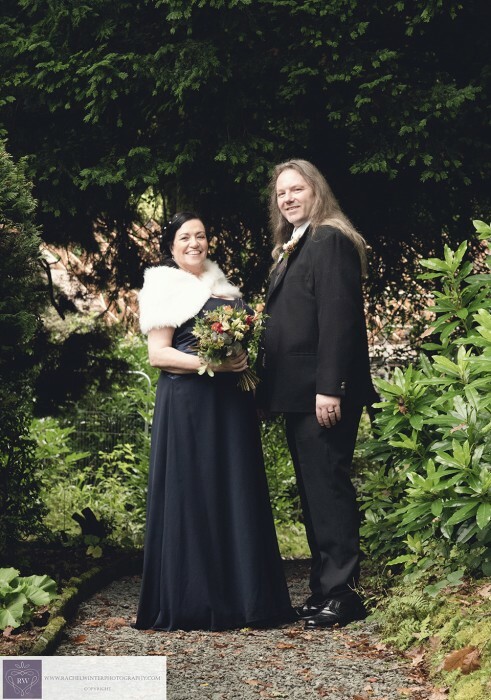 After the ceremony, we strolled around the gardens for some relaxed photographs. 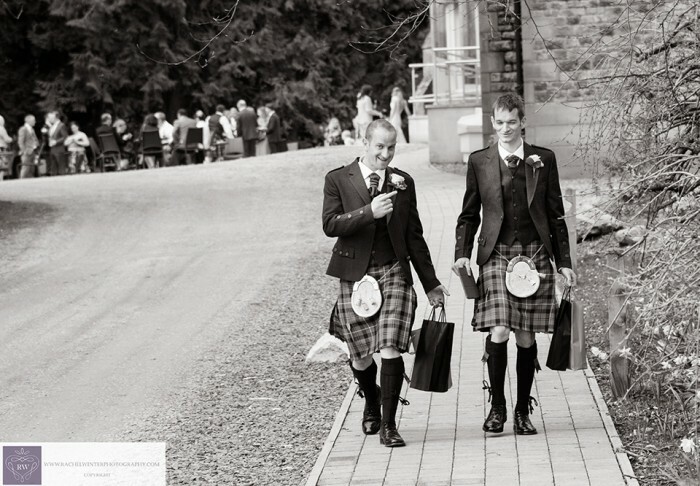 You know when you see a couple who really suit each other and this couple were one of them. 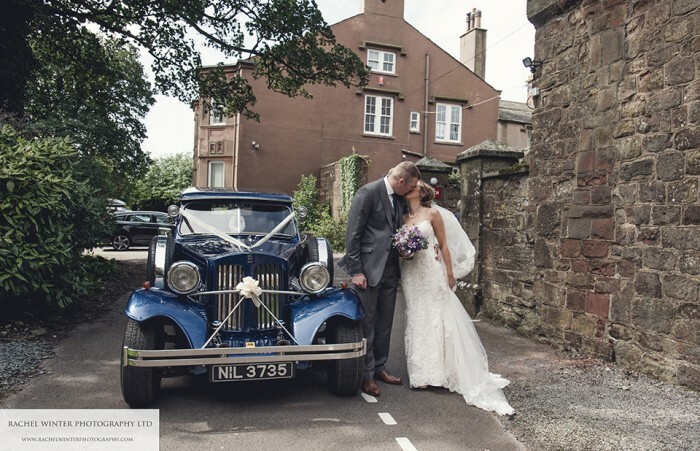 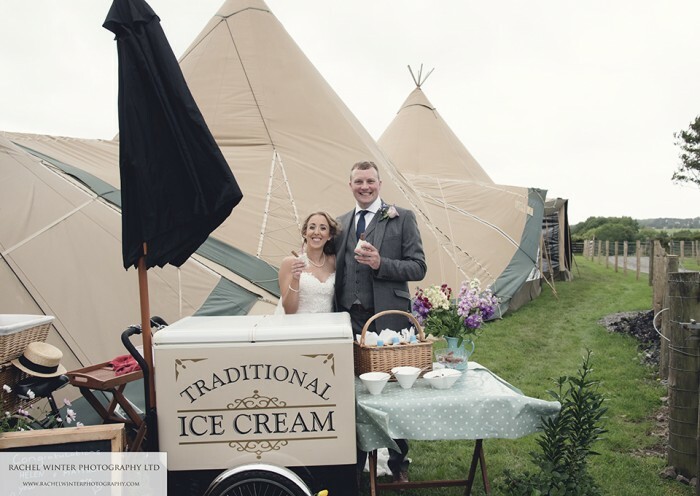 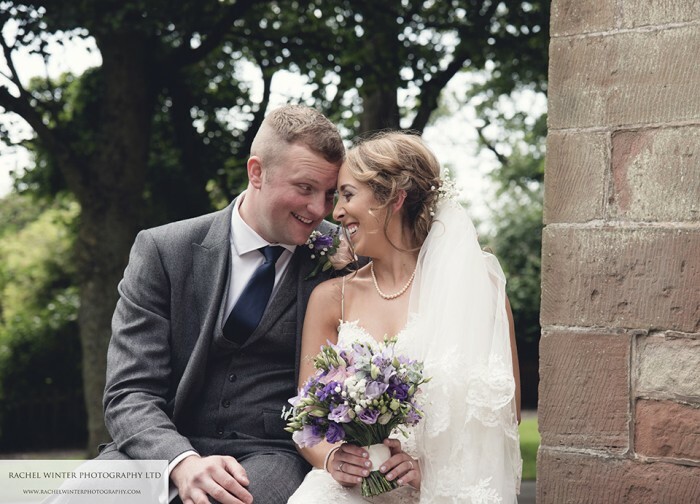 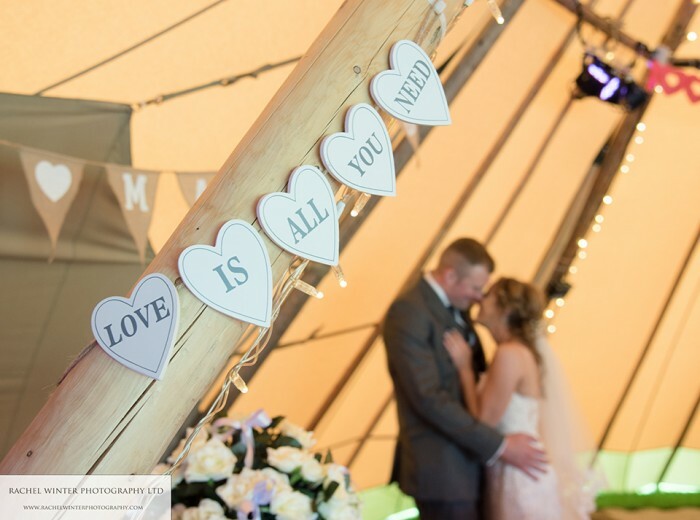 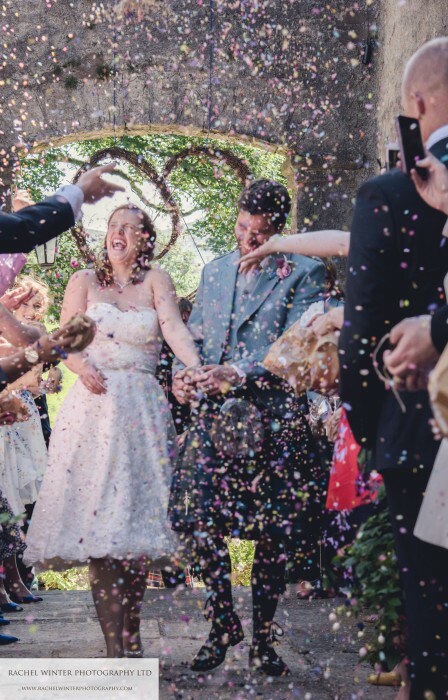 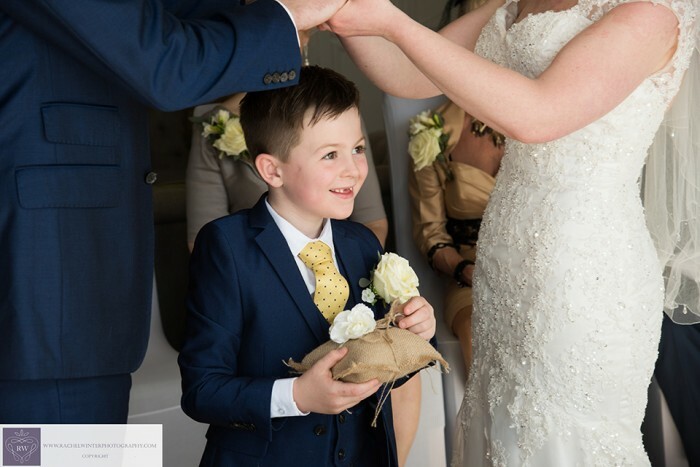 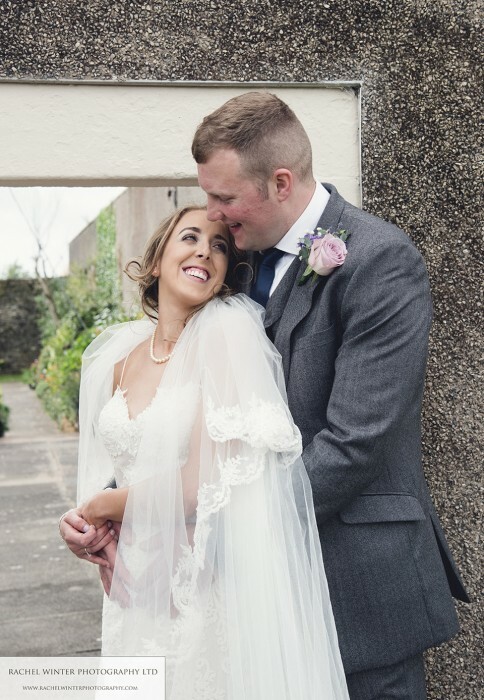 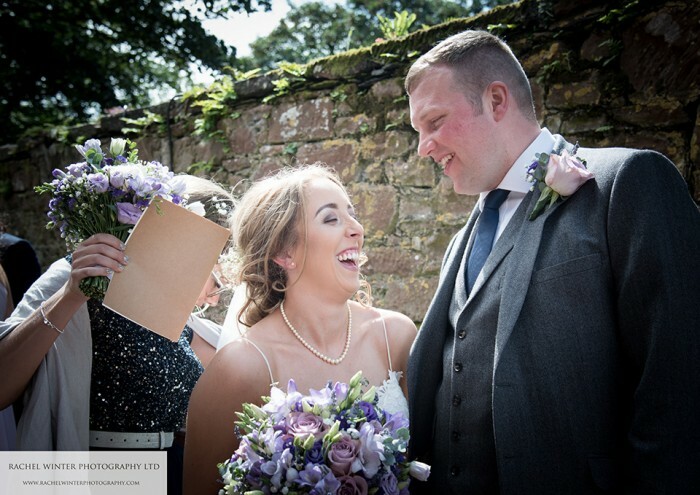 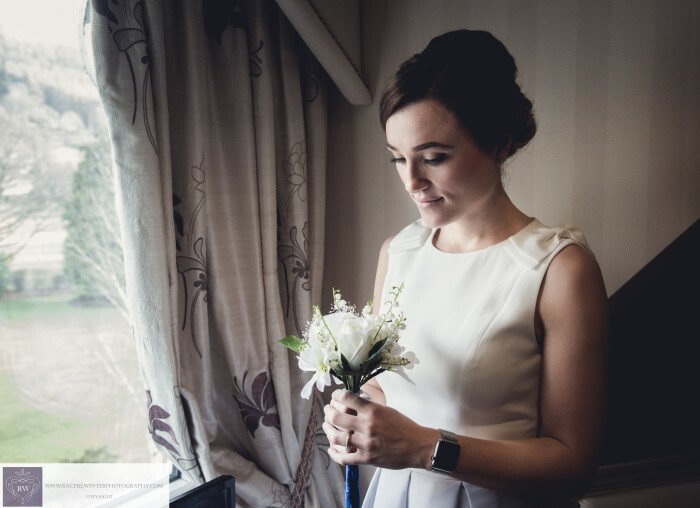 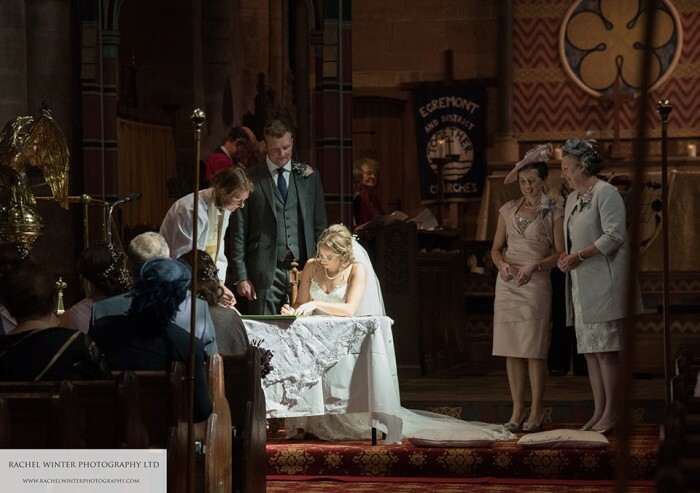 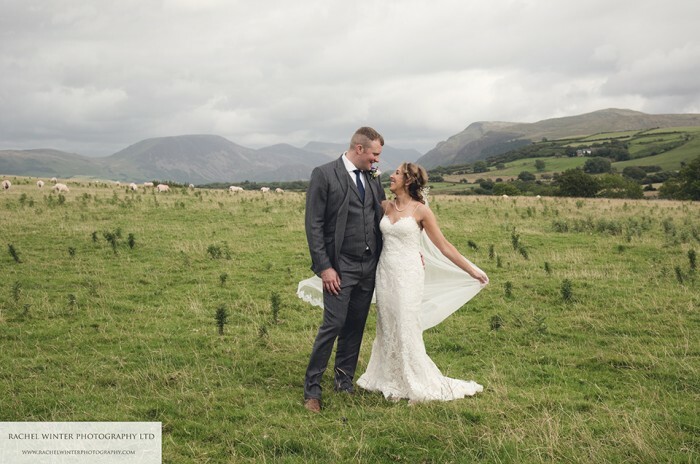 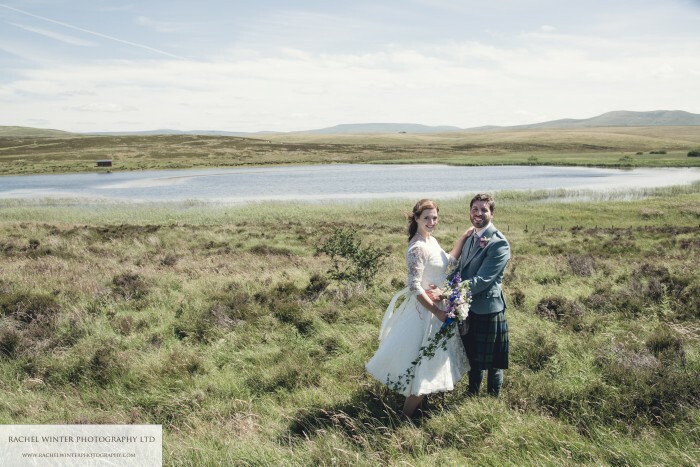 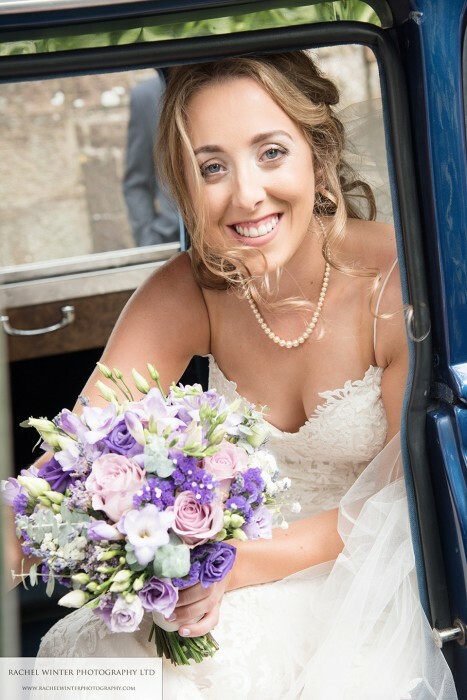 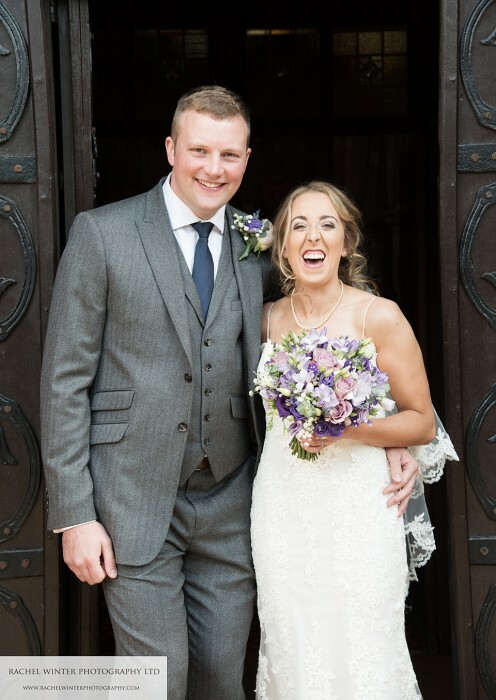 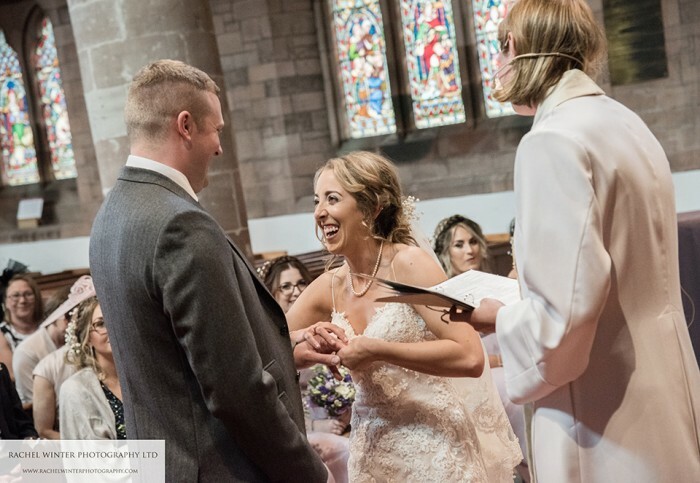 Katy and Rob were married at Newbiggin-on-Lune Public Hall this summer. 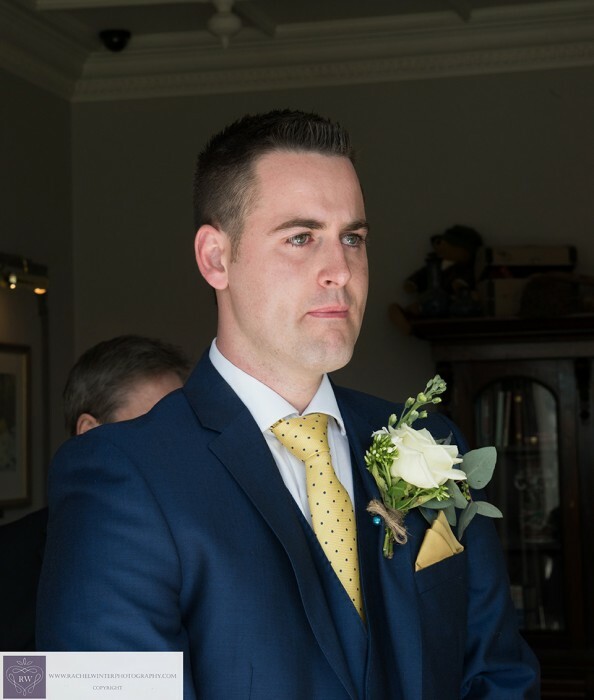 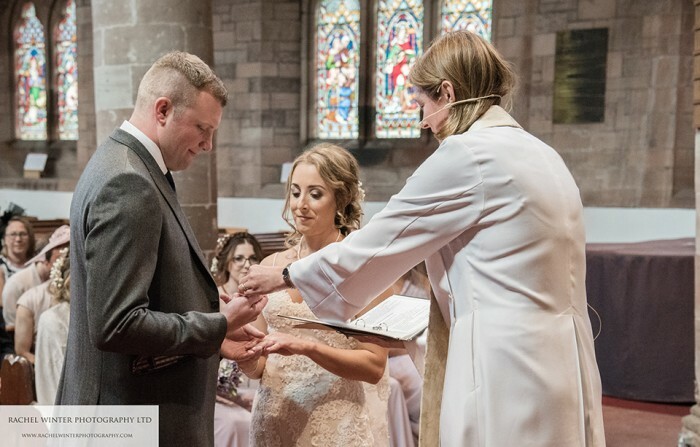 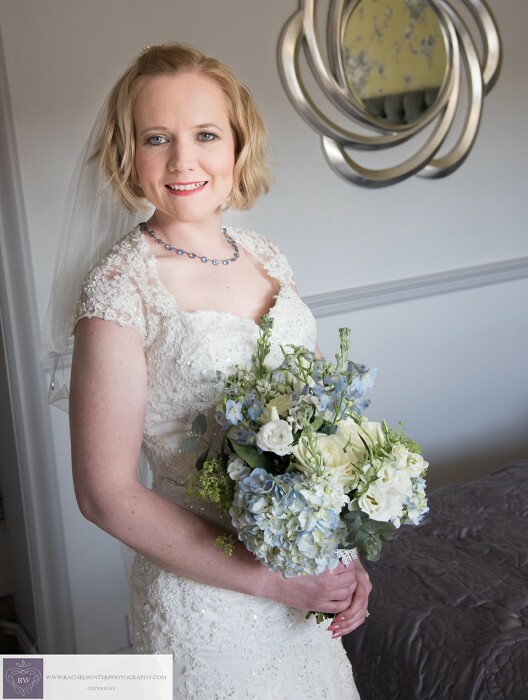 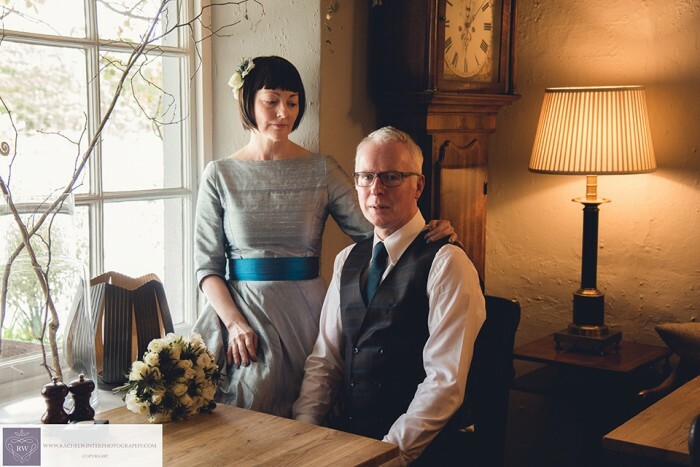 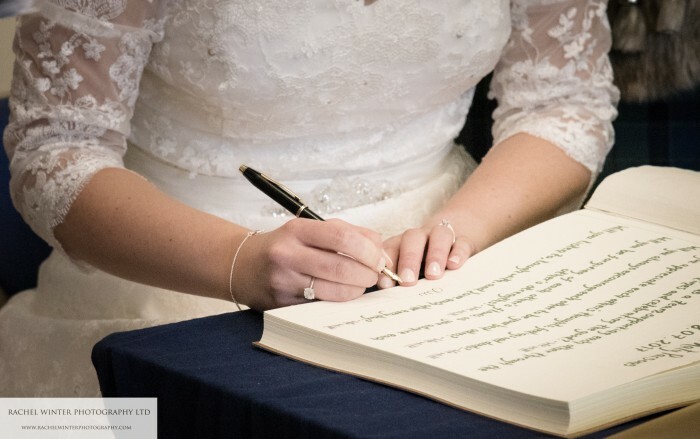 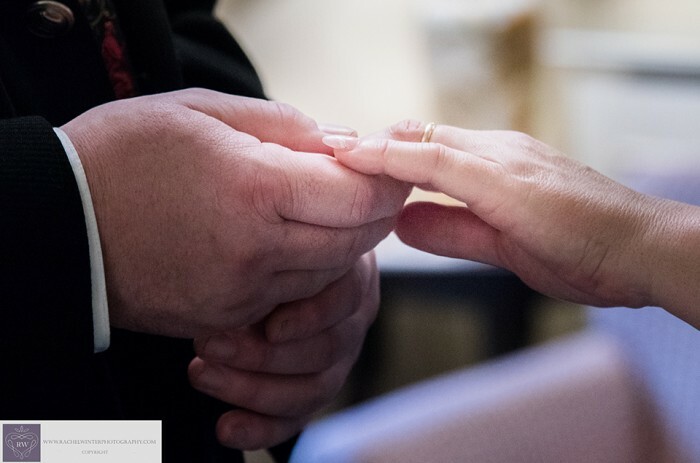 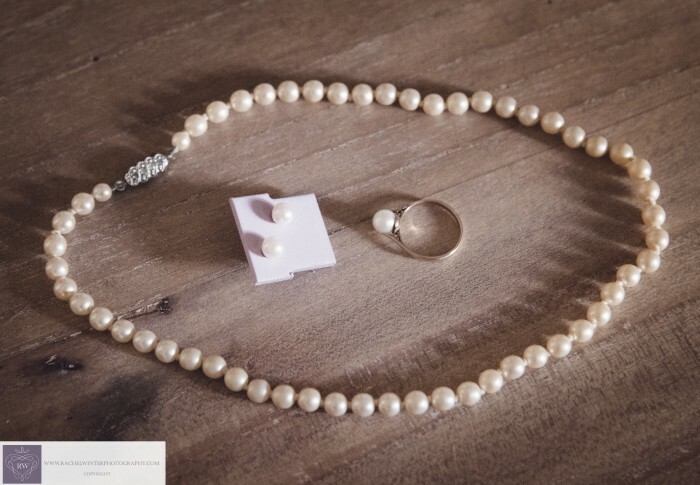 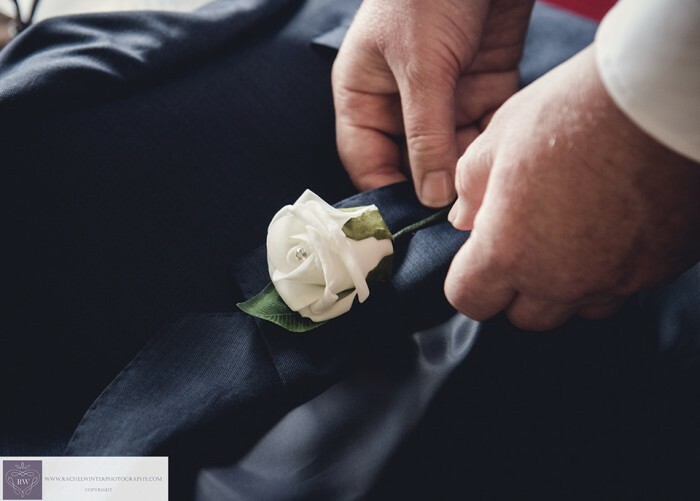 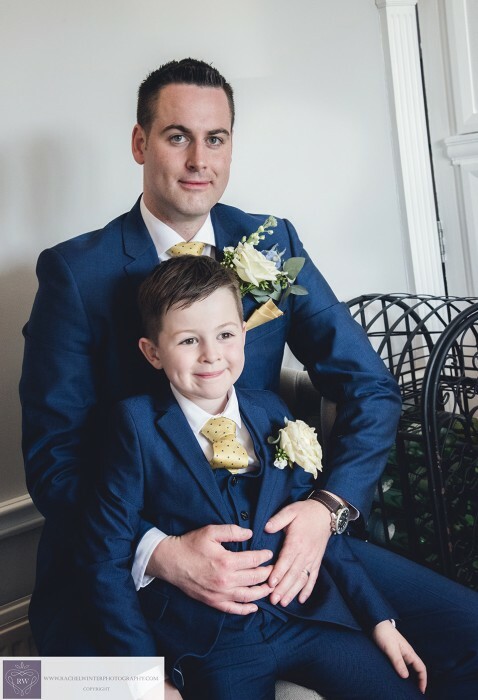 The couple chose a humanist ceremony which I have to say was one of the most emotional and well delivered ceremonies I have encountered in 25 years of wedding photography. 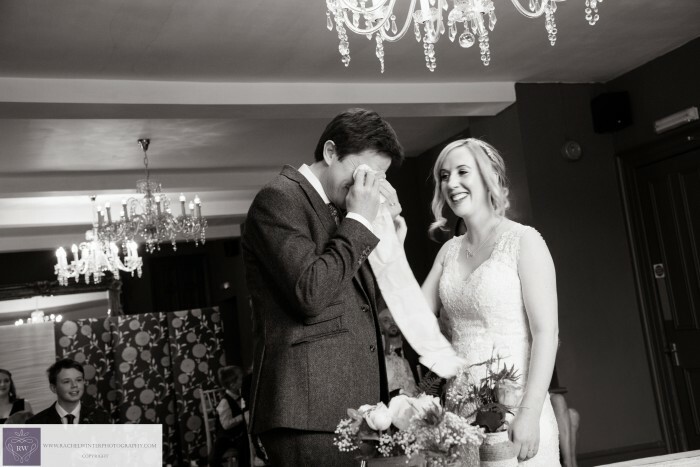 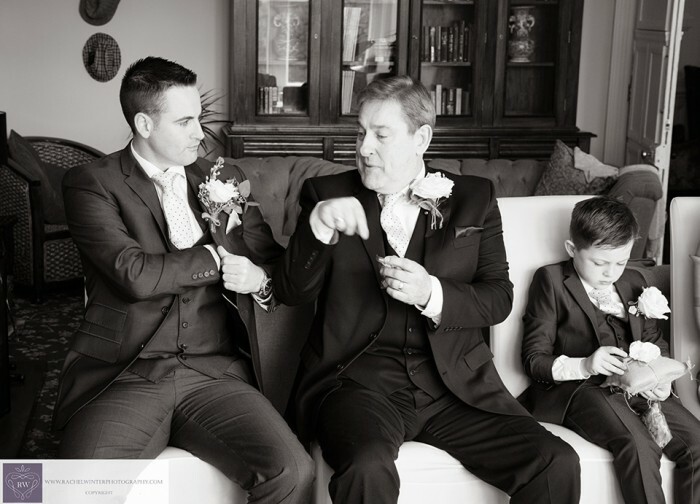 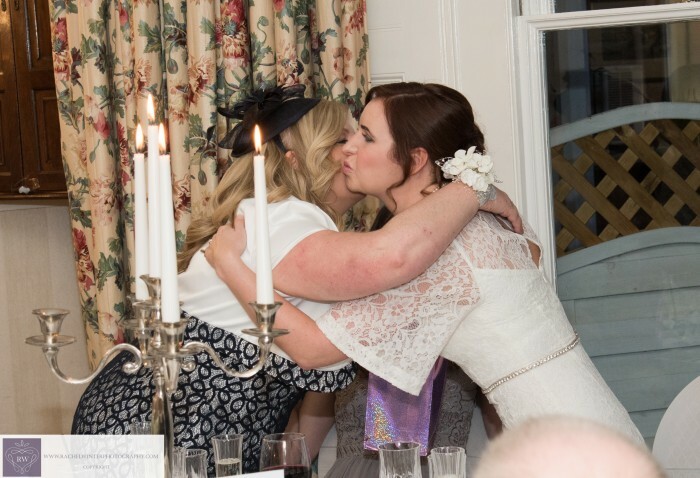 There were moments of tears, humour and a special closeness involving the whole wedding party and guests. 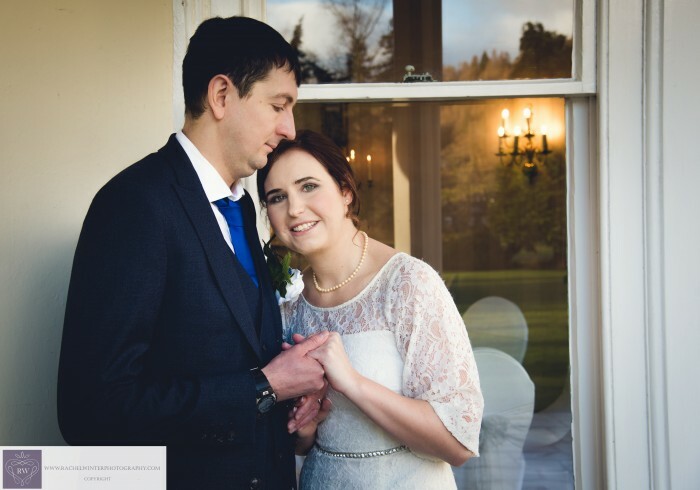 I had photographed the Bride’s brother and his wife at their wedding a few years previously so it was great to see familiar faces. 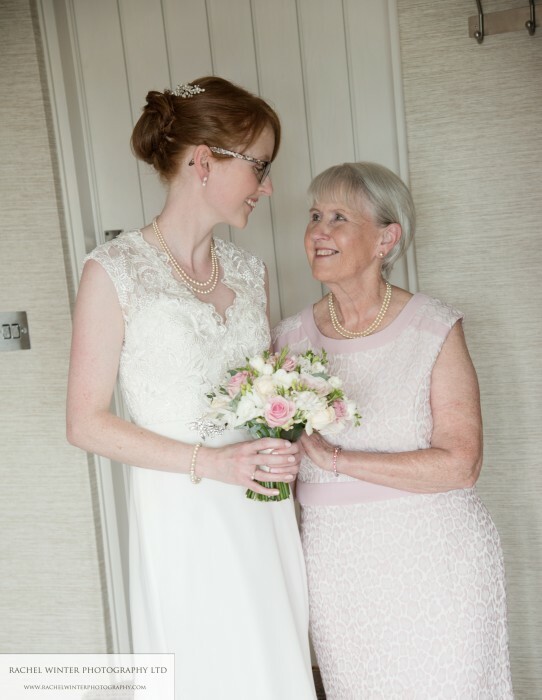 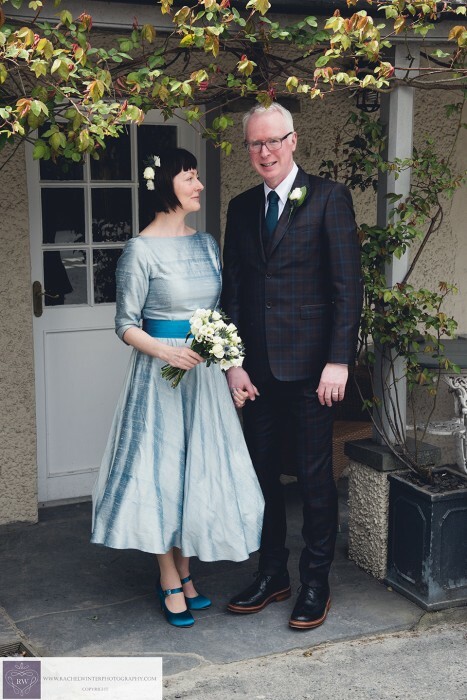 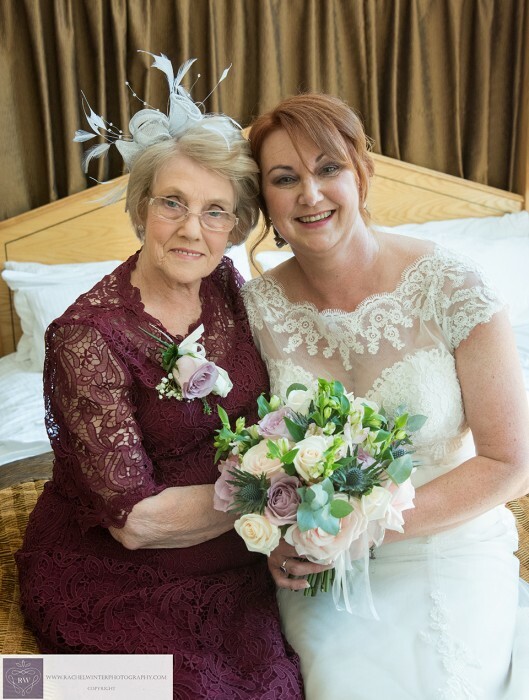 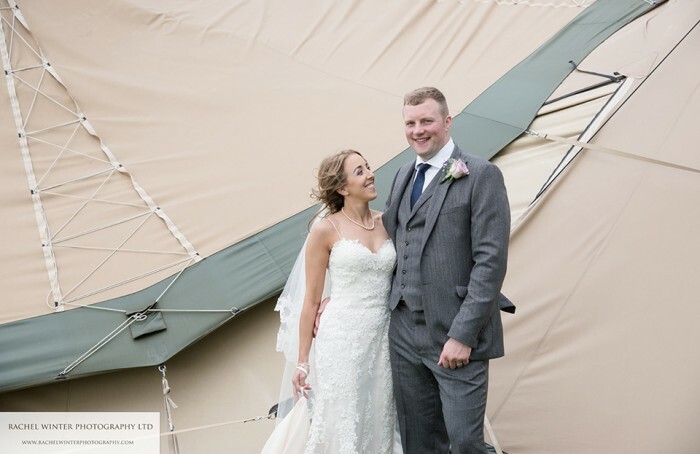 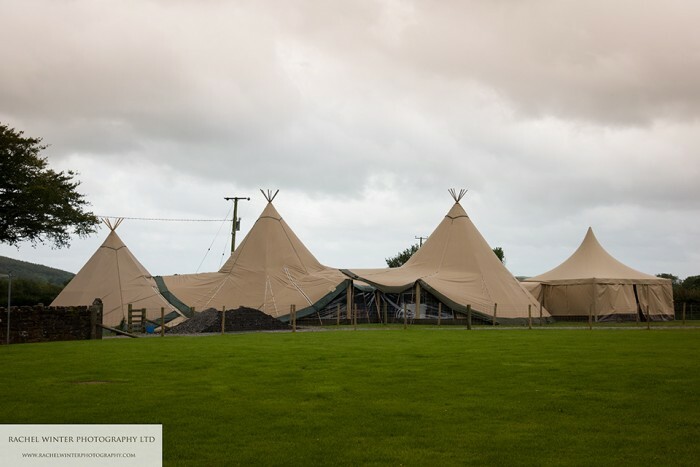 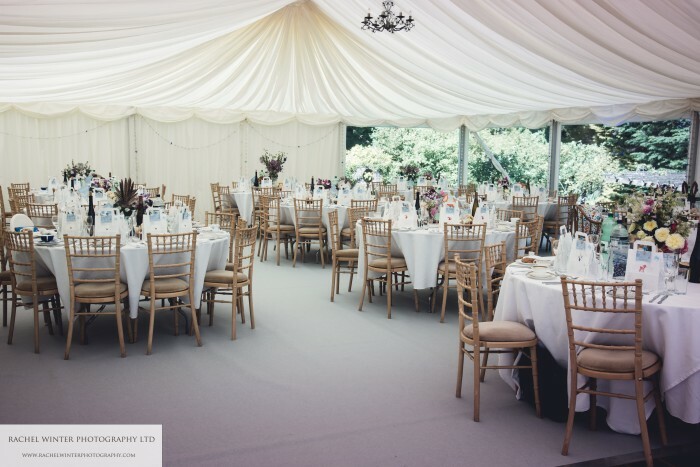 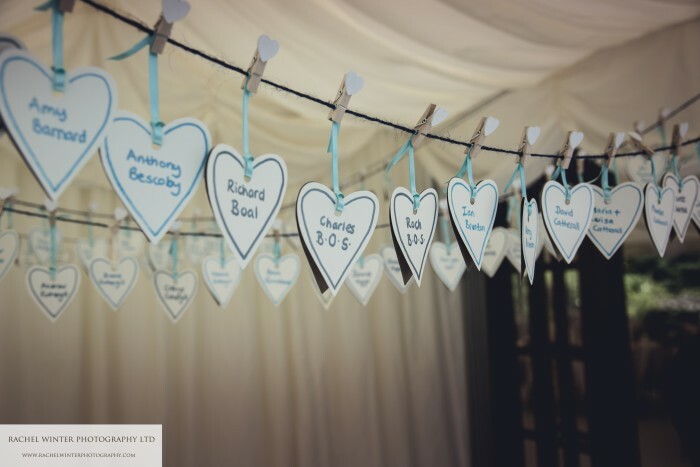 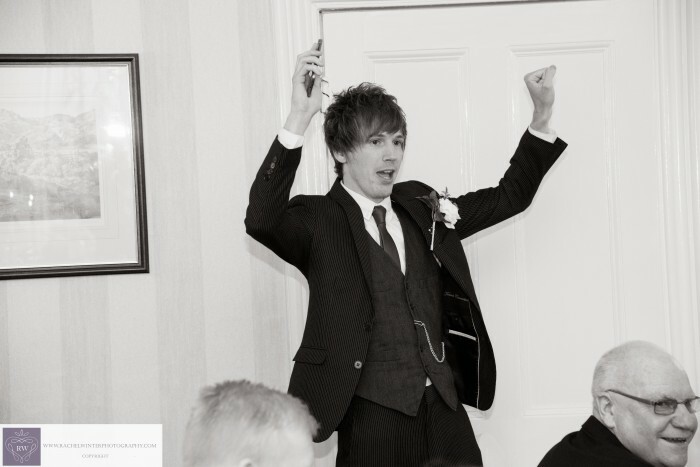 The reception was held at the Bride’s parents beautiful home in a marquee in their splendid garden. 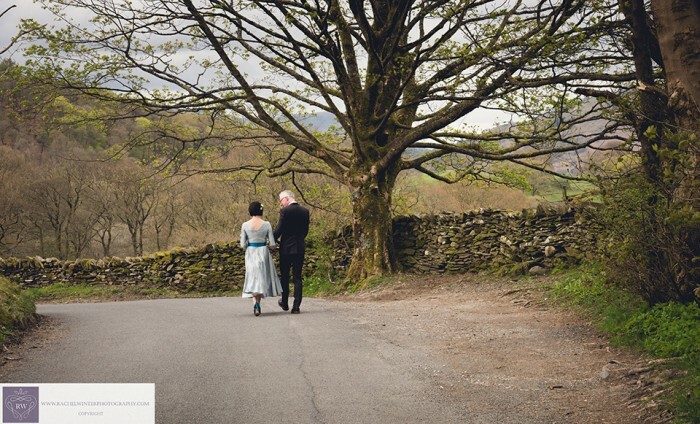 En route to the reception, we all took a classic bus, from Cumbria Classic Coaches up to Sunbiggin Tarn which was a fabulous bumpy old journey with breathtaking views at the top.